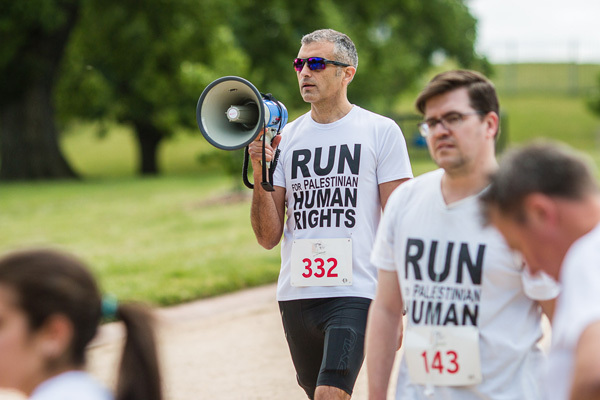 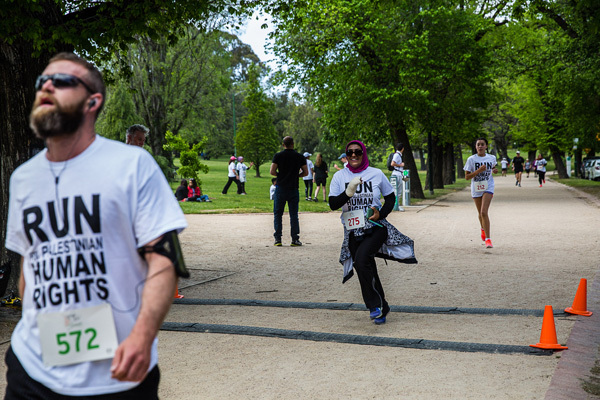 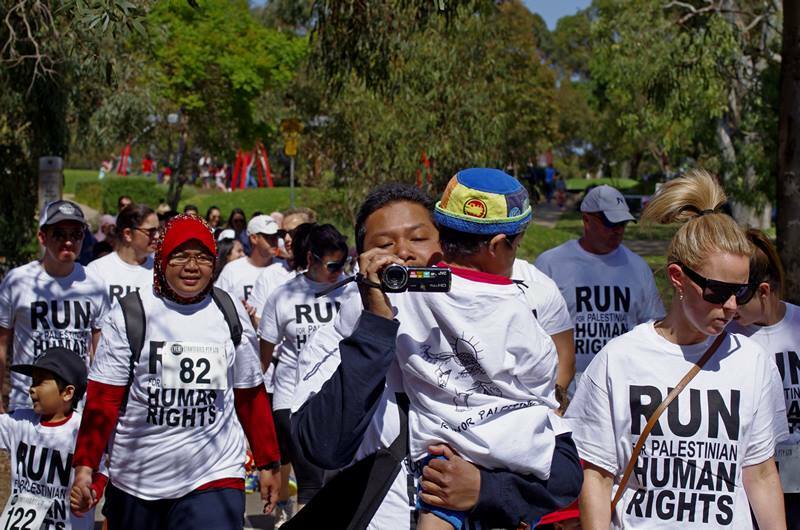 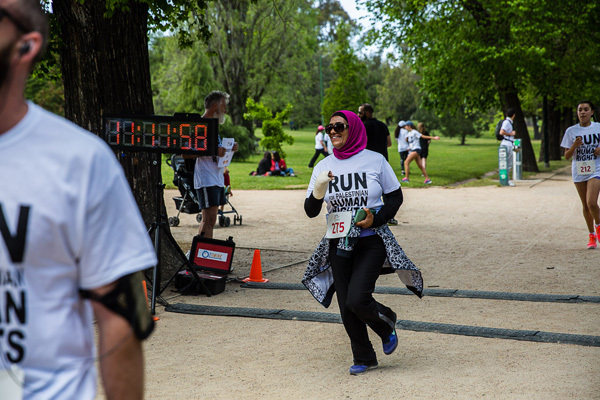 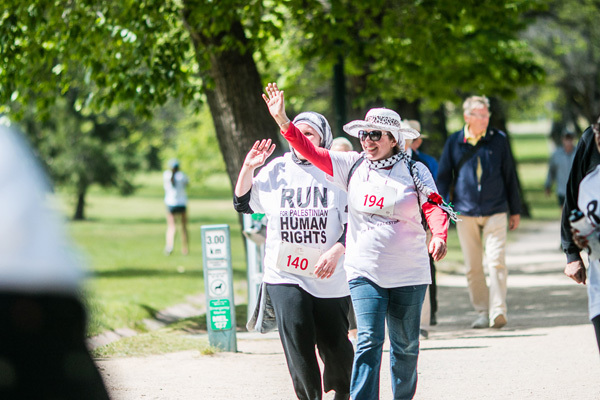 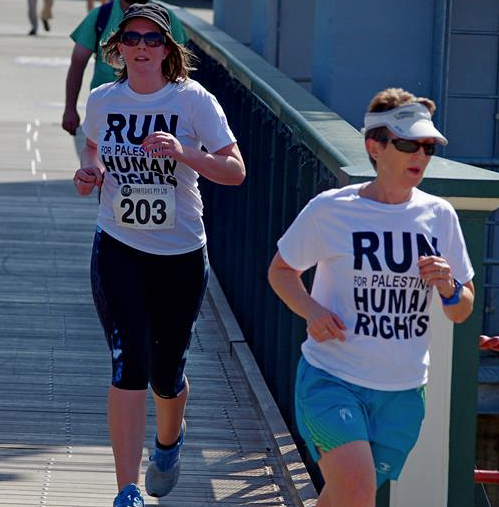 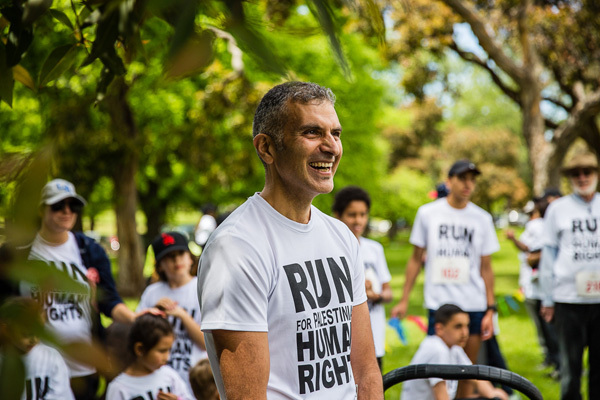 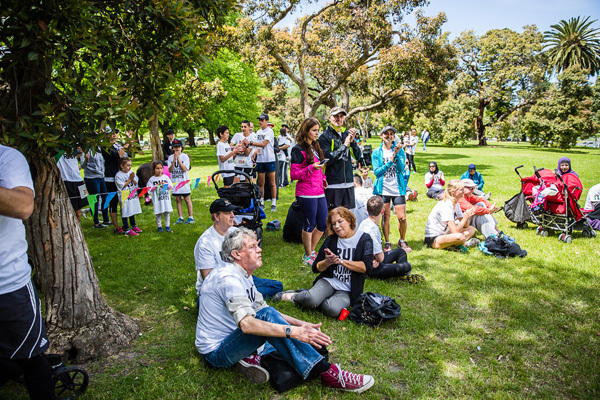 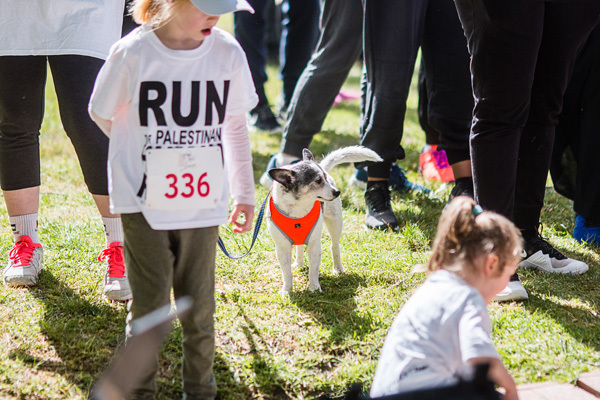 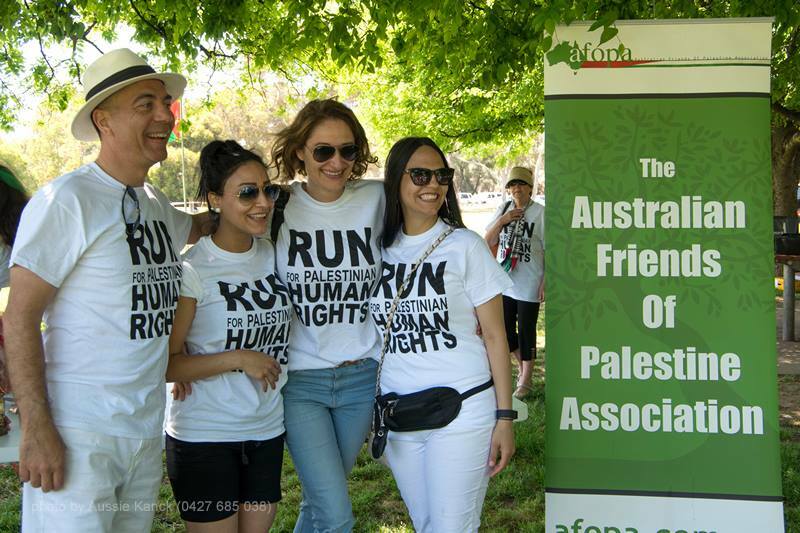 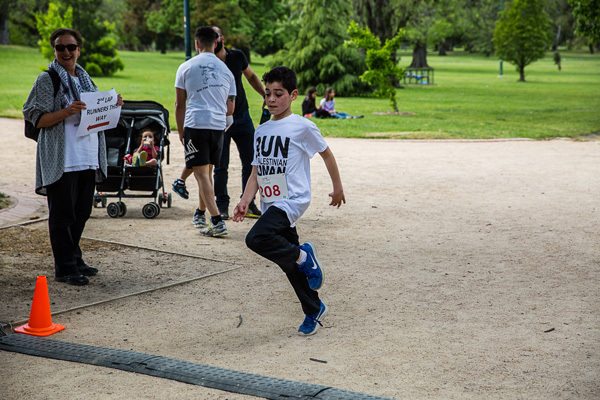 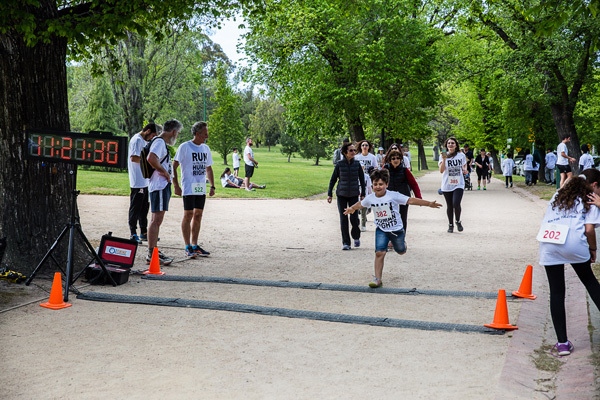 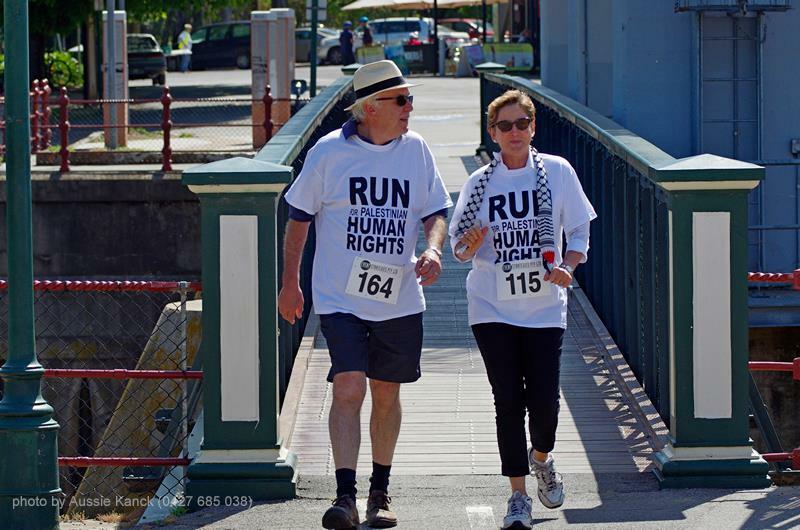 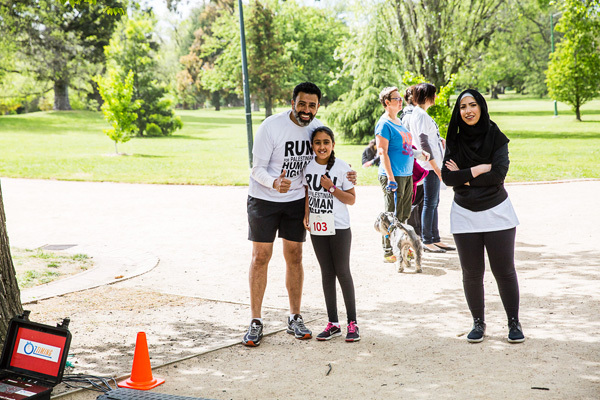 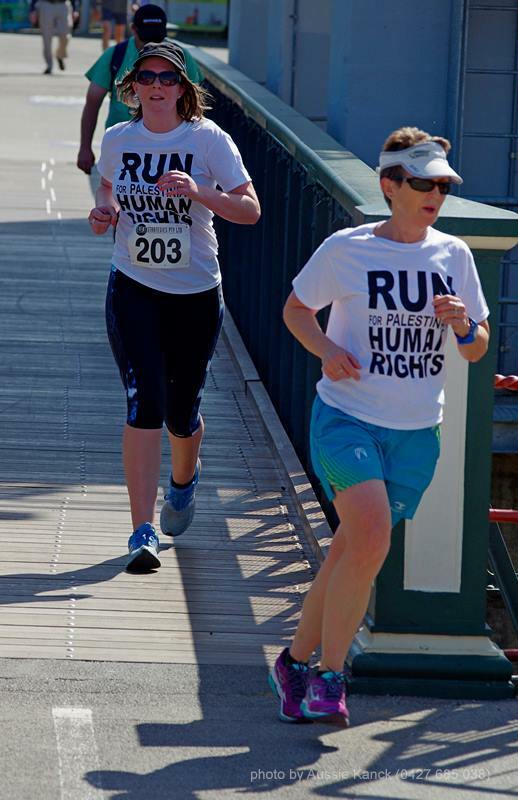 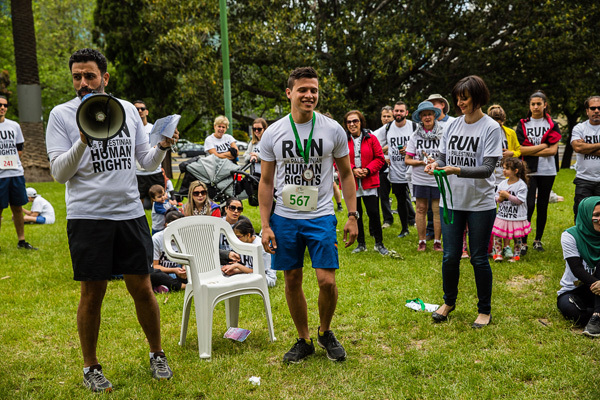 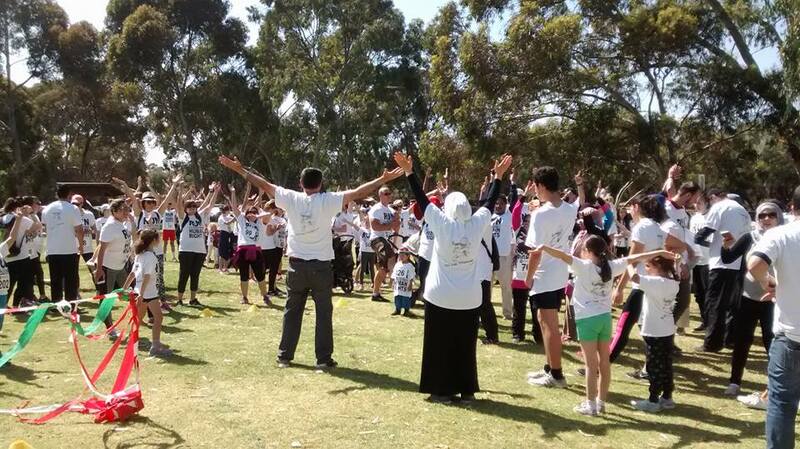 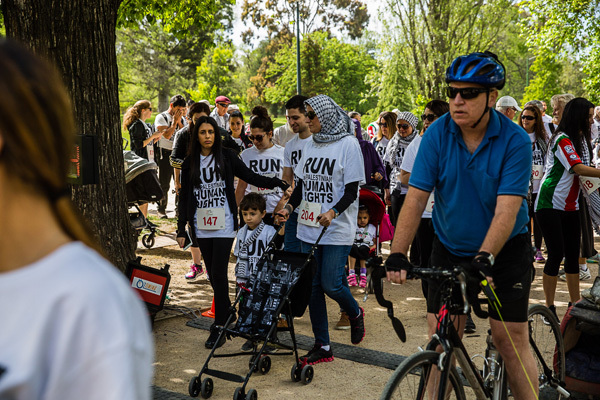 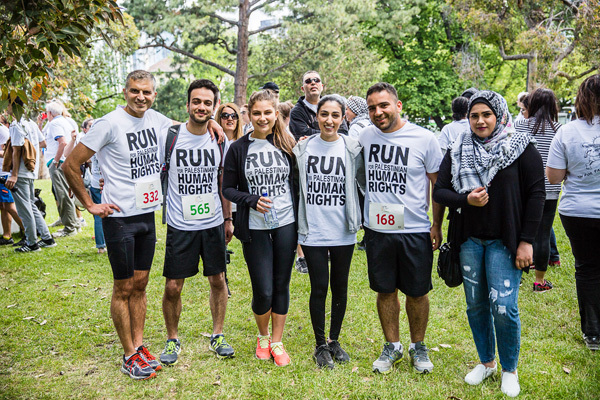 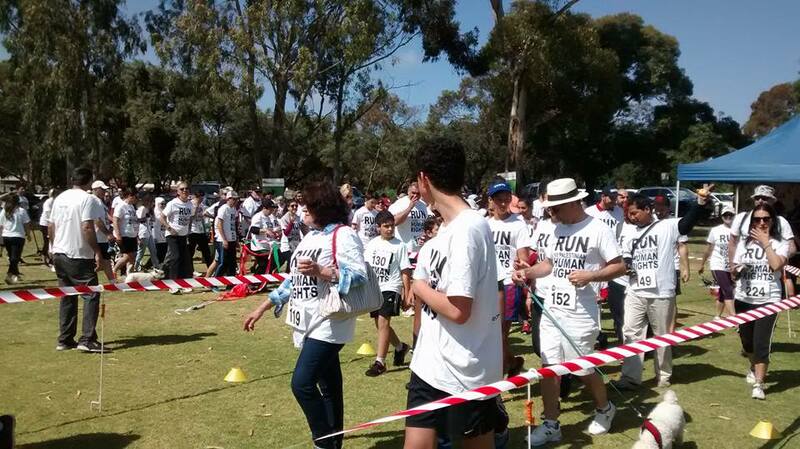 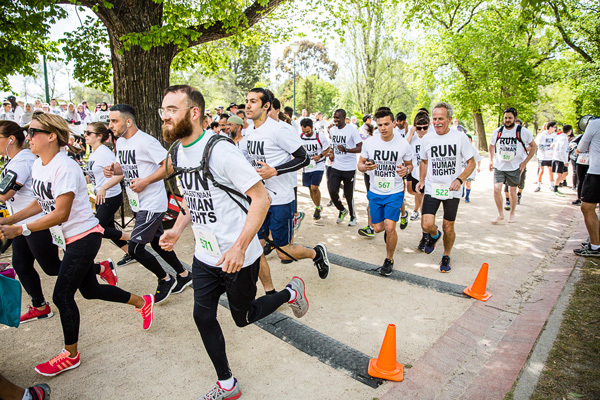 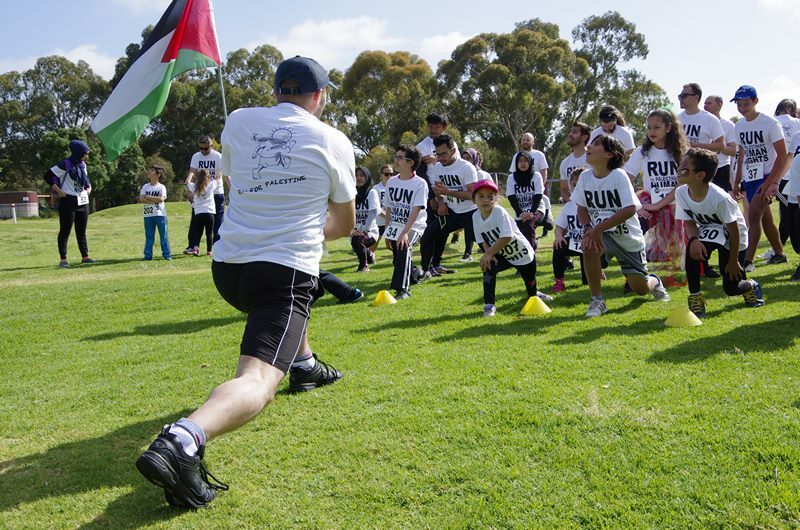 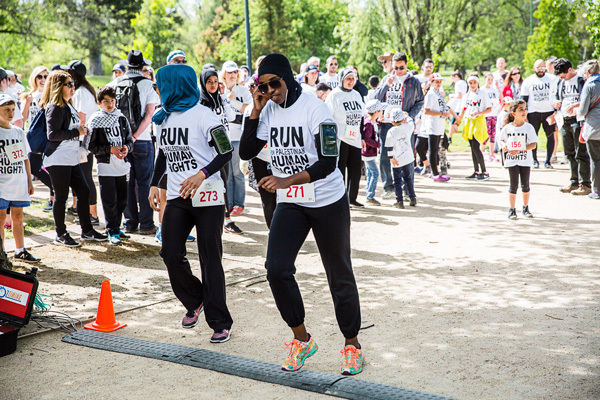 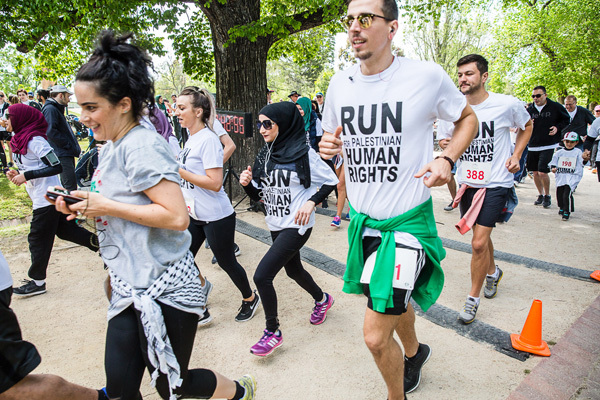 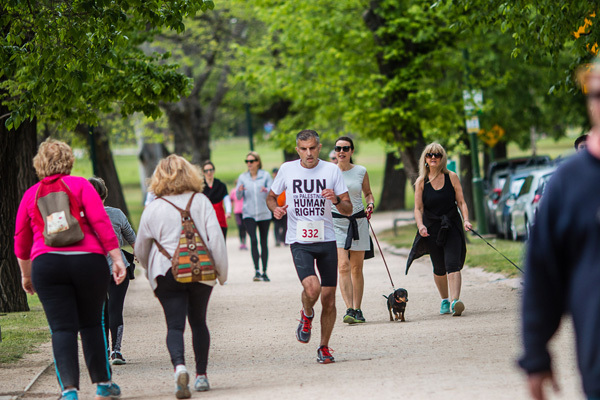 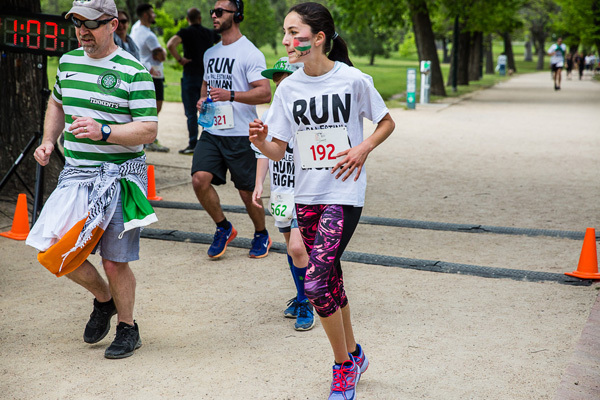 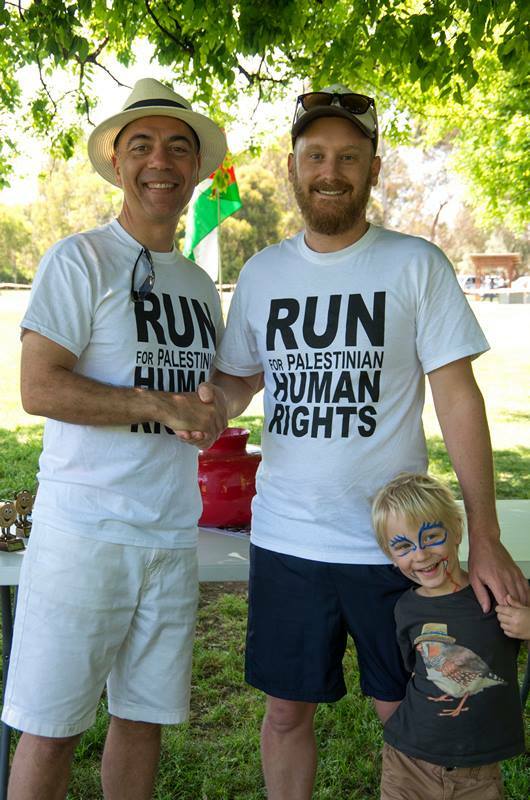 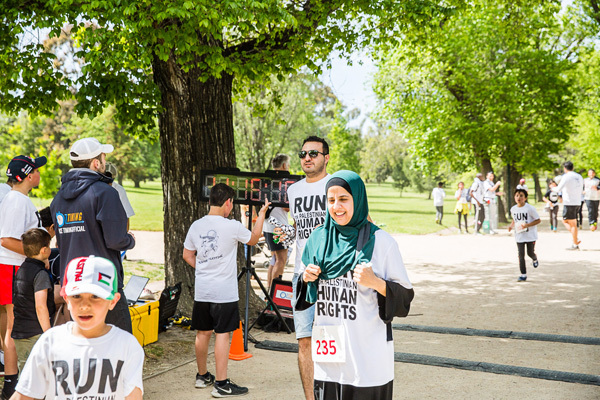 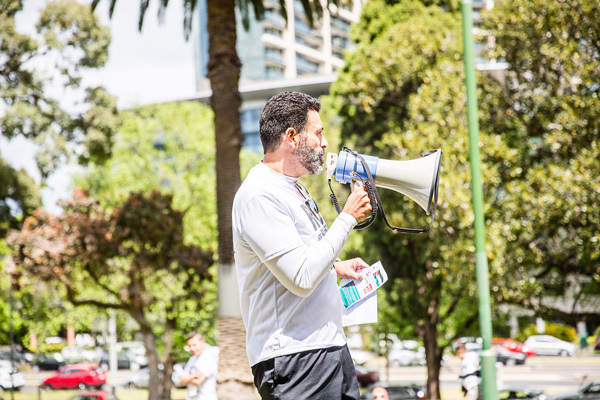 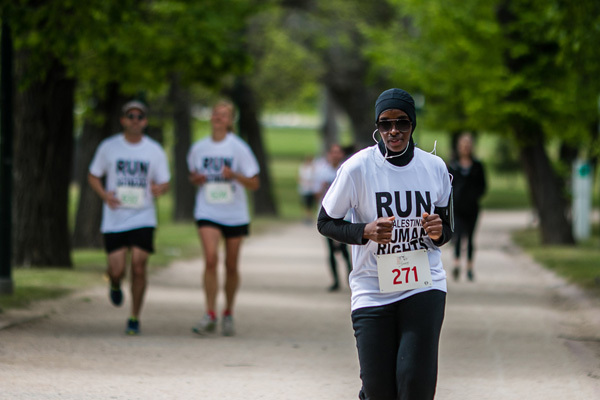 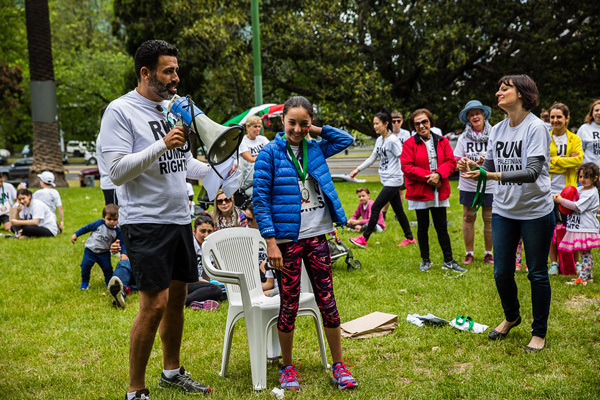 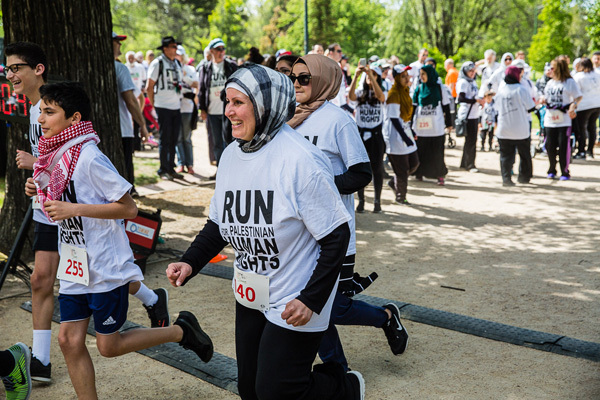 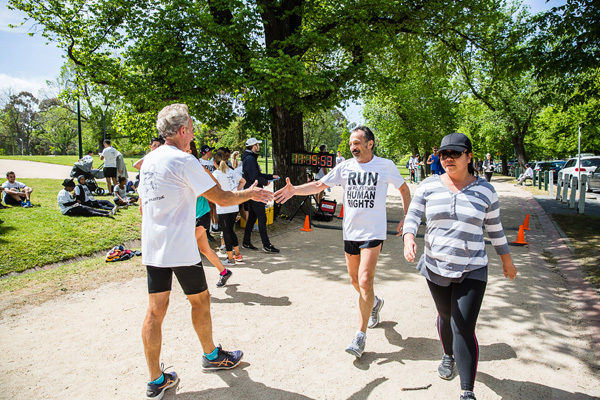 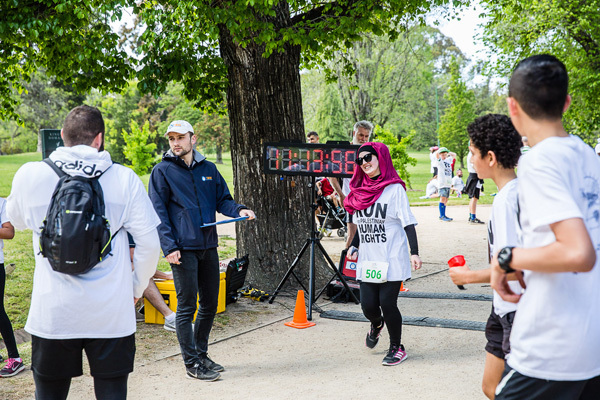 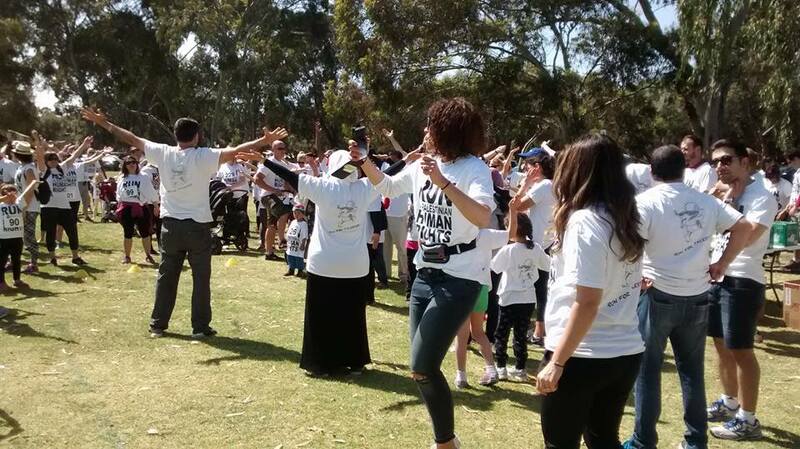 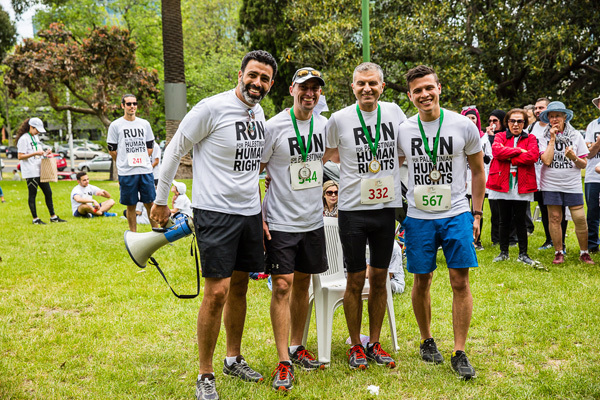 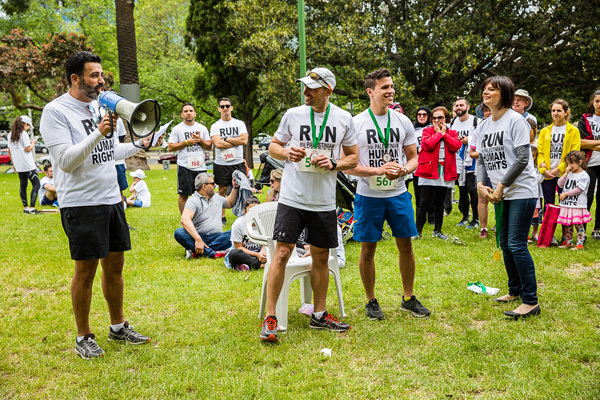 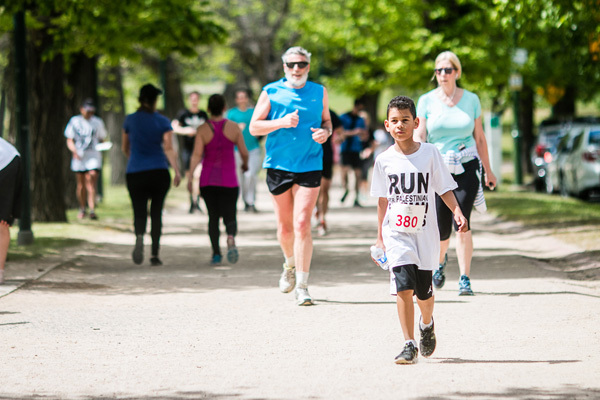 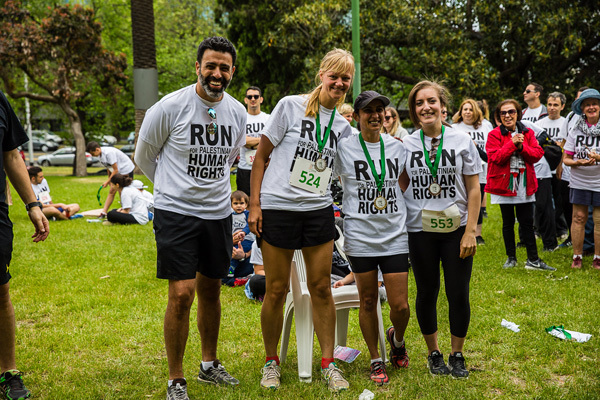 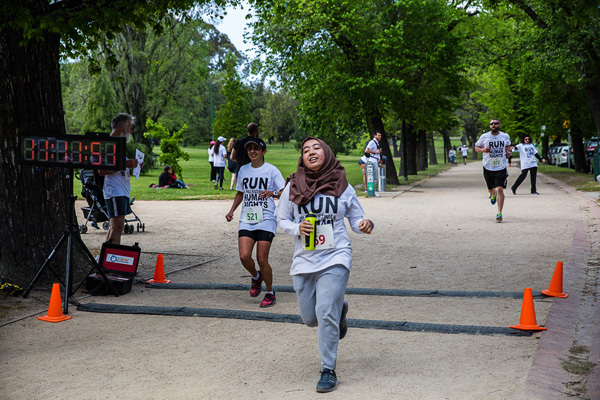 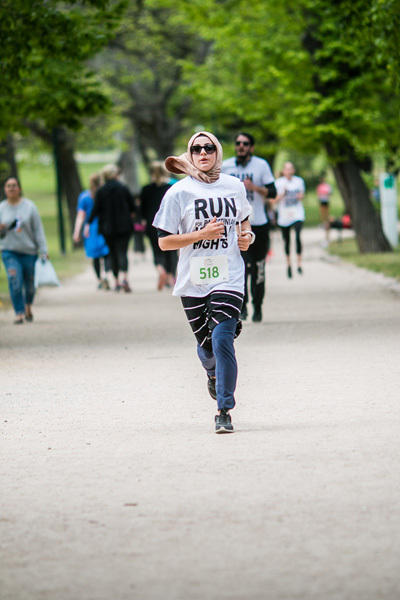 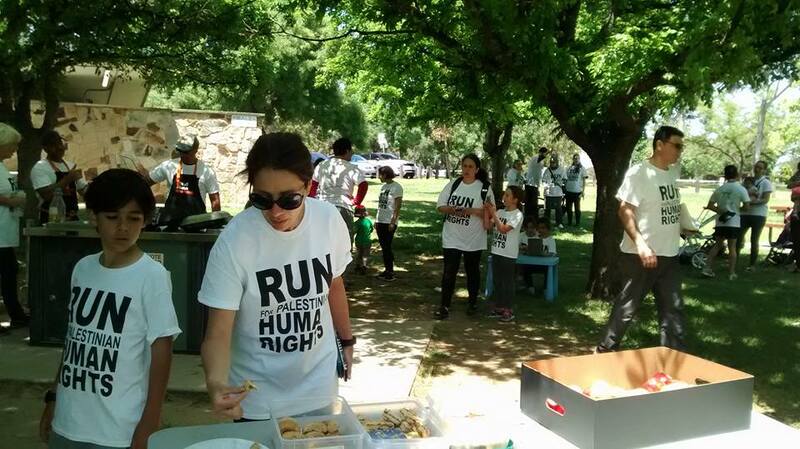 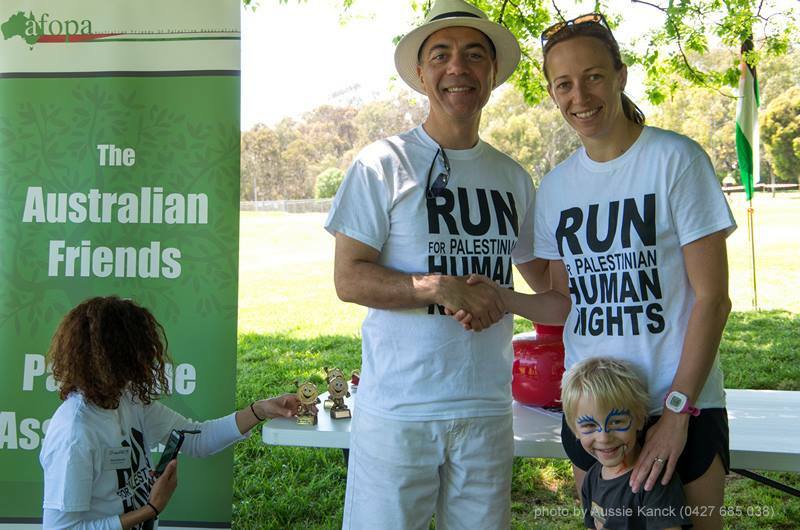 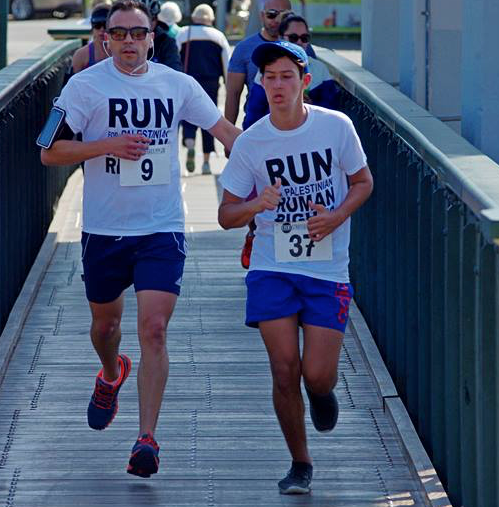 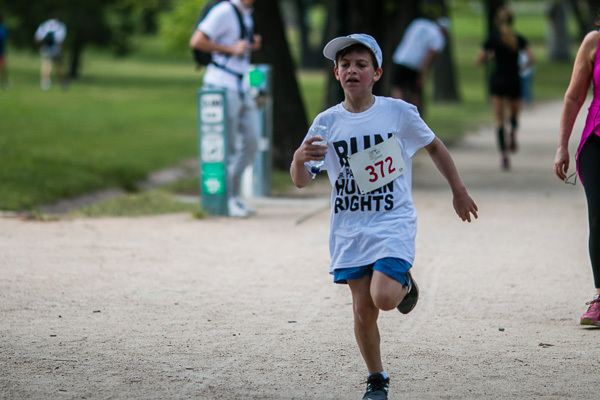 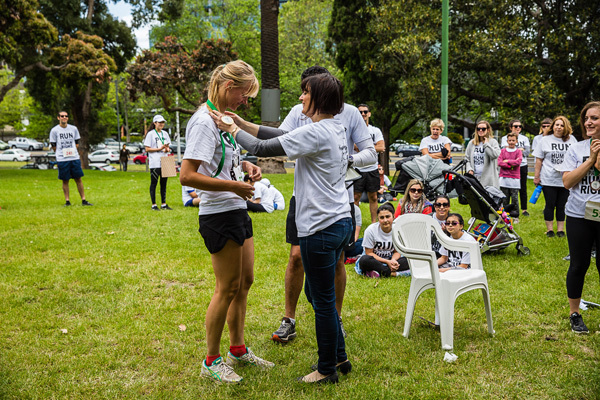 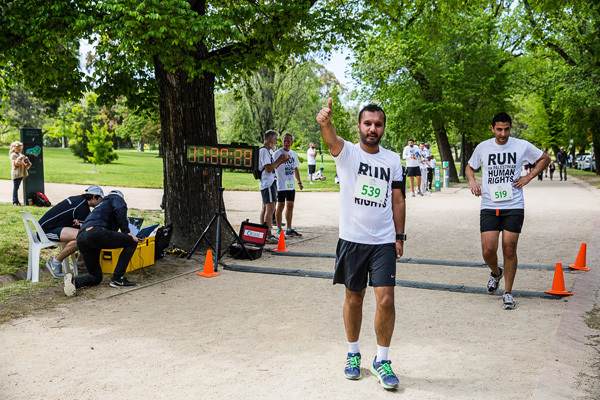 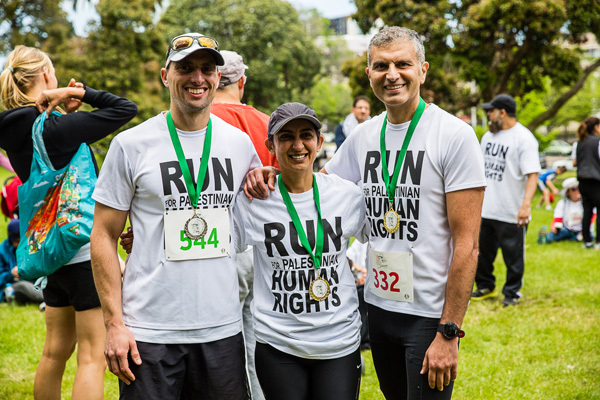 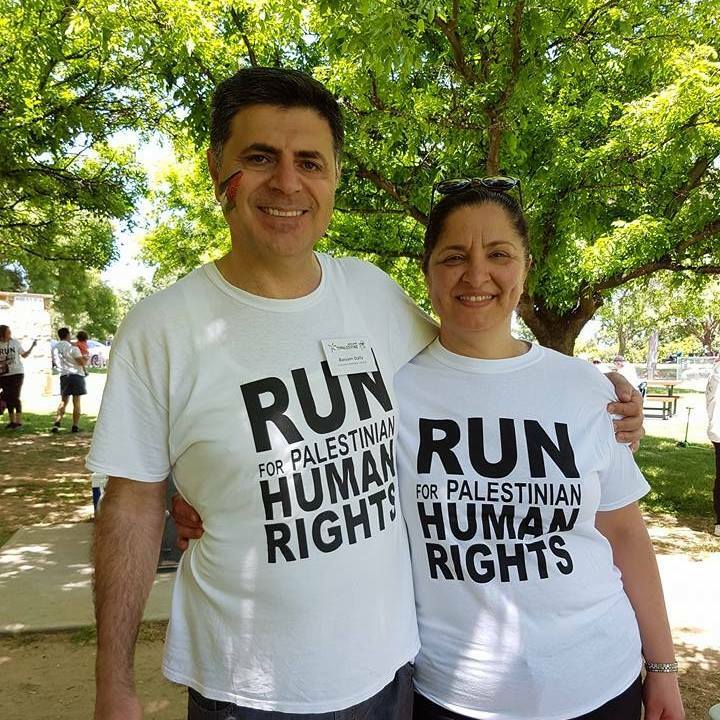 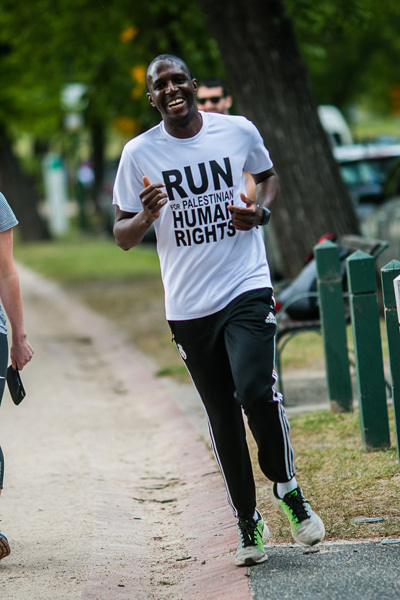 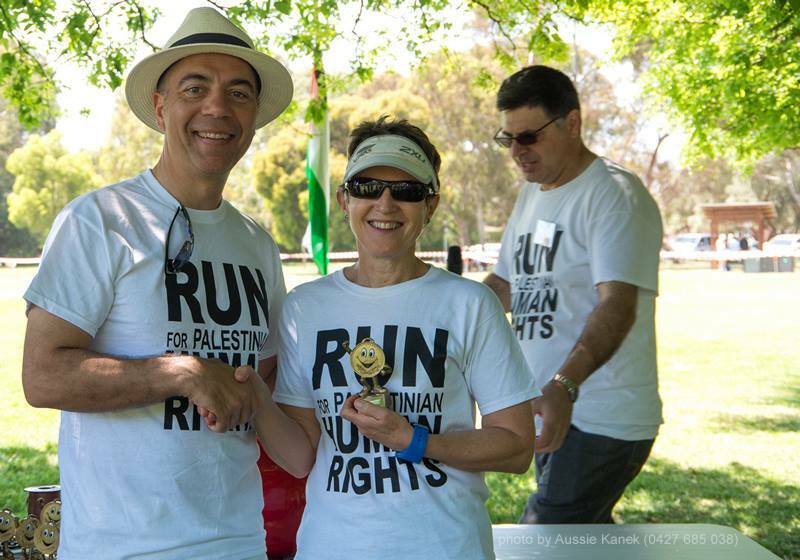 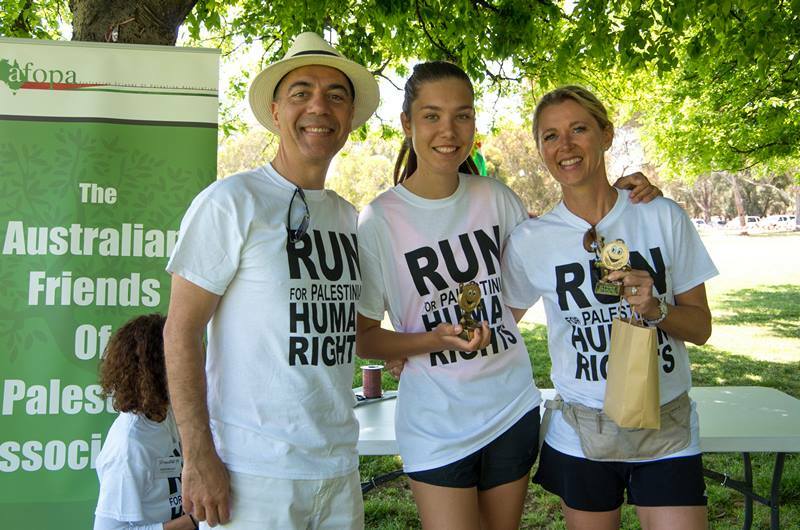 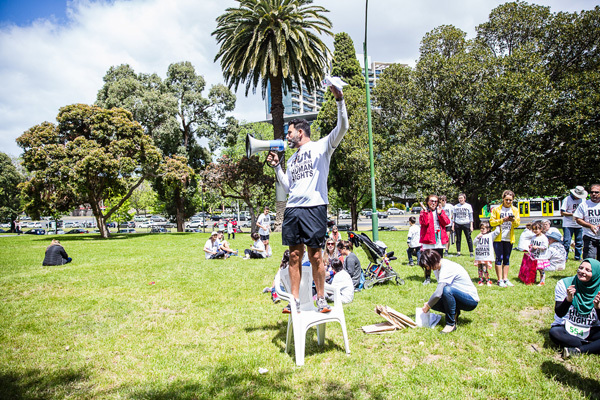 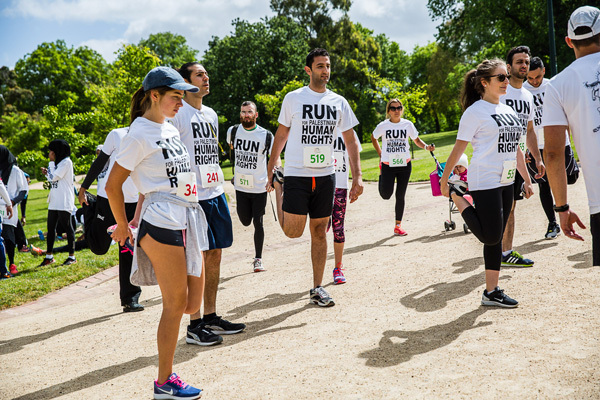 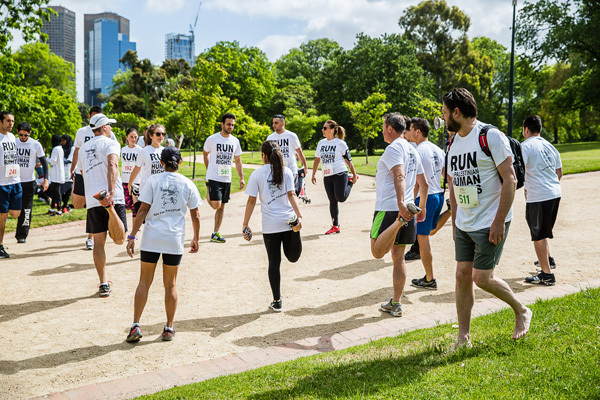 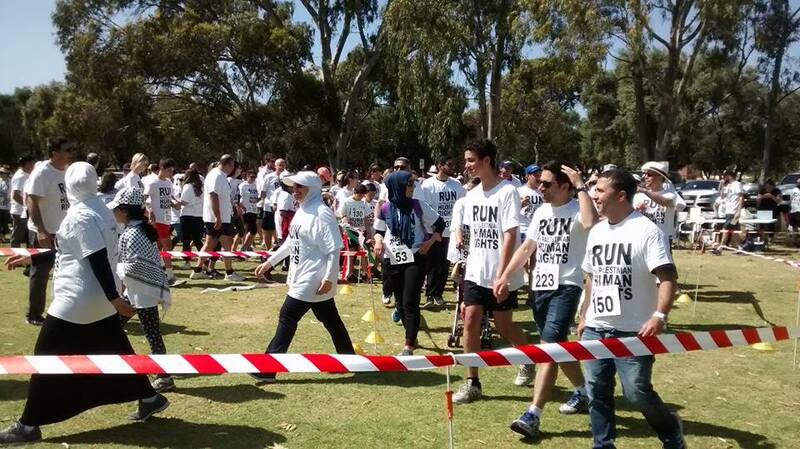 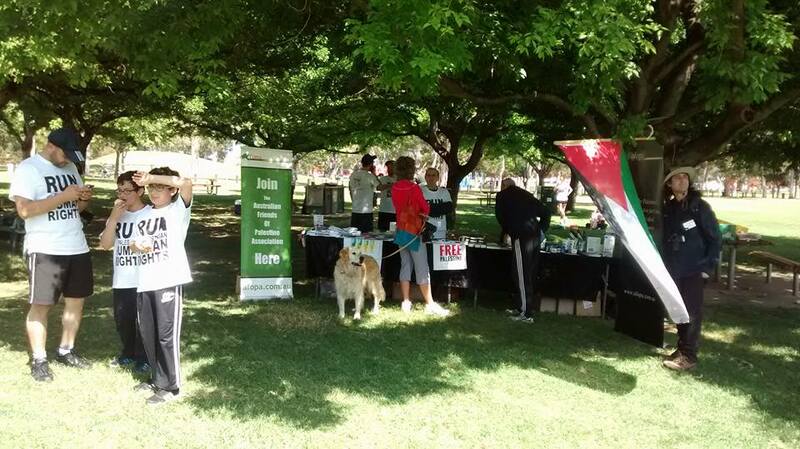 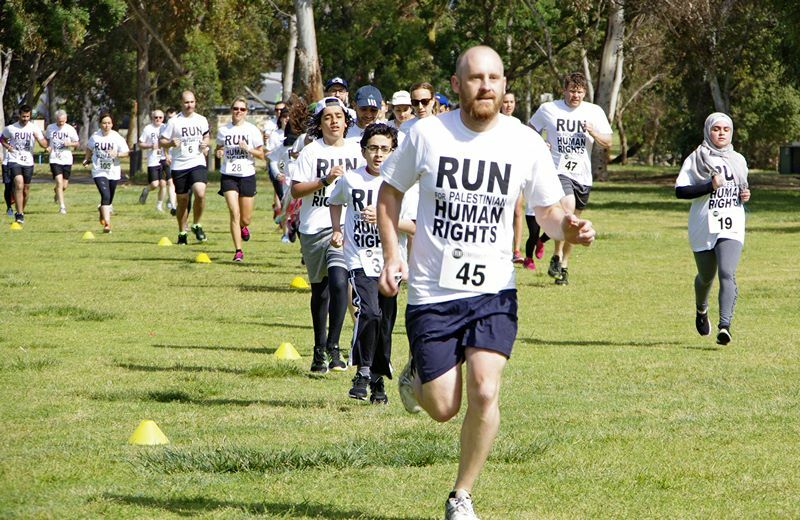 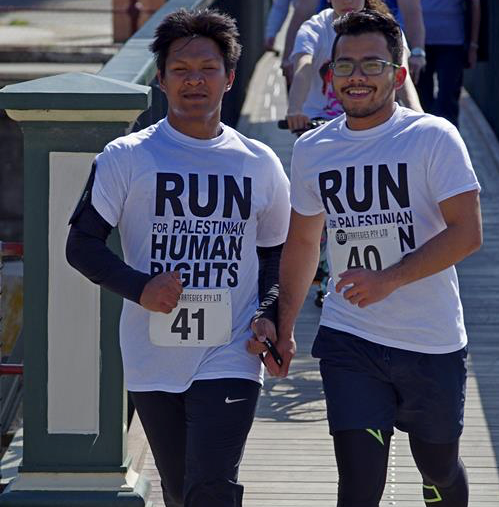 If you missed our third annual Run for Palestine yesterday, you missed a glorious day – lots of sunshine, lots of people, lots of fun. 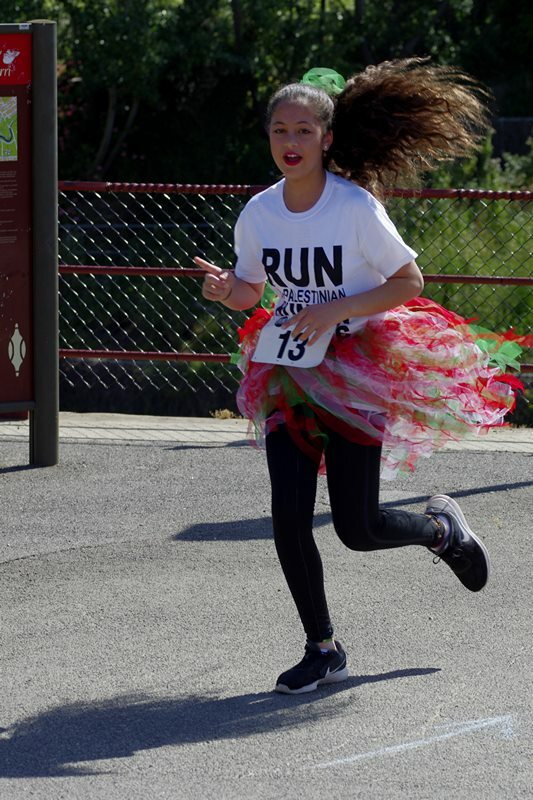 It was our best run ever. 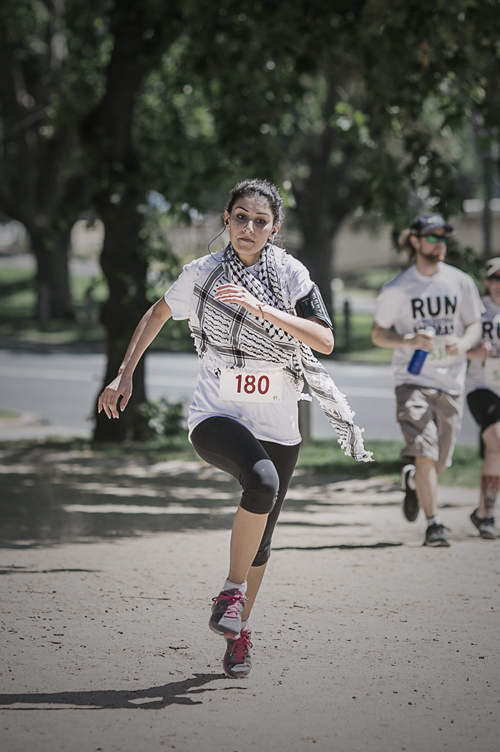 Those who came before were there with high expectations: they were not disappointed. 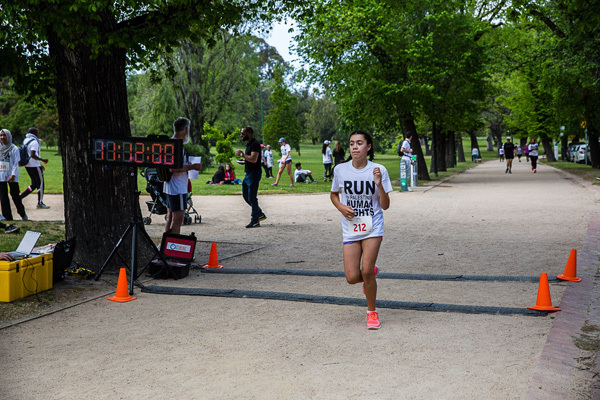 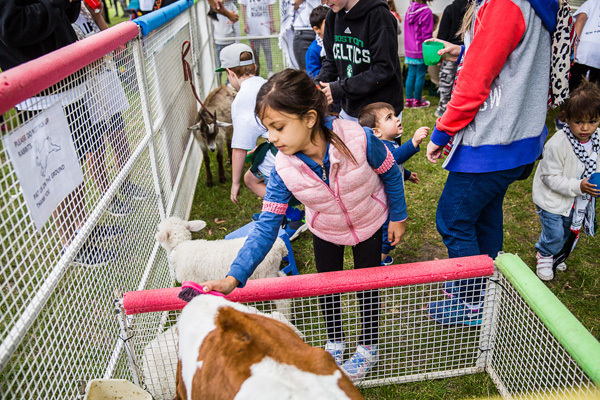 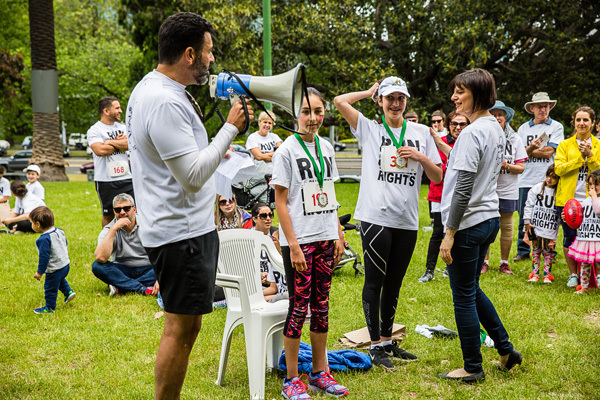 First-time comers were swept up in the excitement of competition and community and wanted to put next year’s run in their diary. 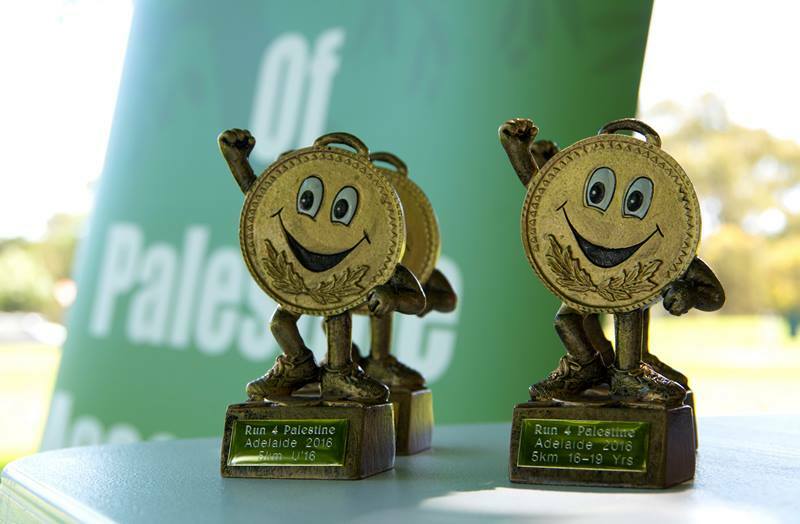 But, the biggest winner of all was Palestine. 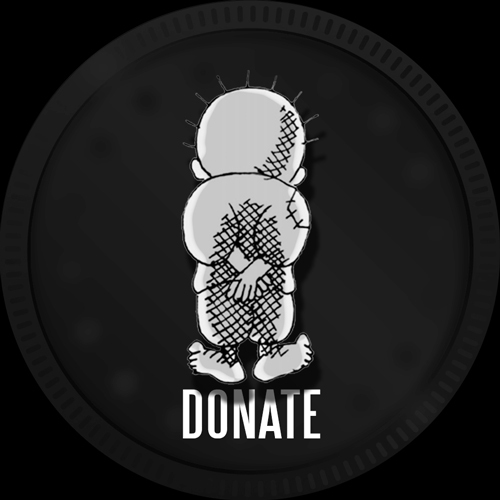 So many people wanted to join in, donate and spread the word. 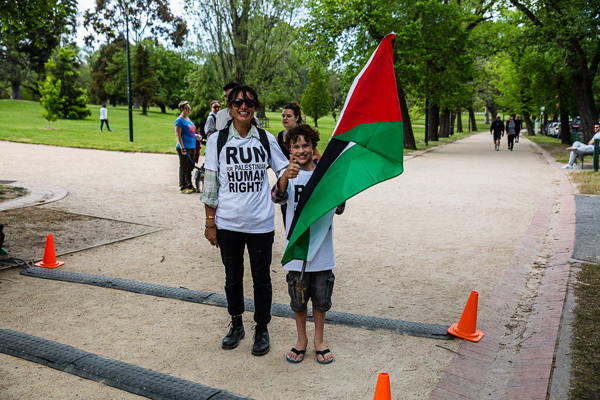 Even passers-by got into the spirit of what the run was all about. 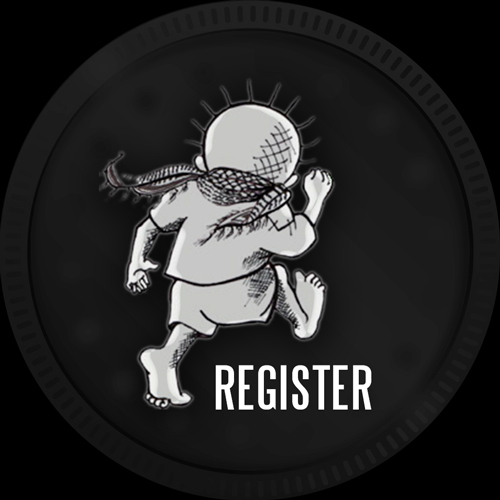 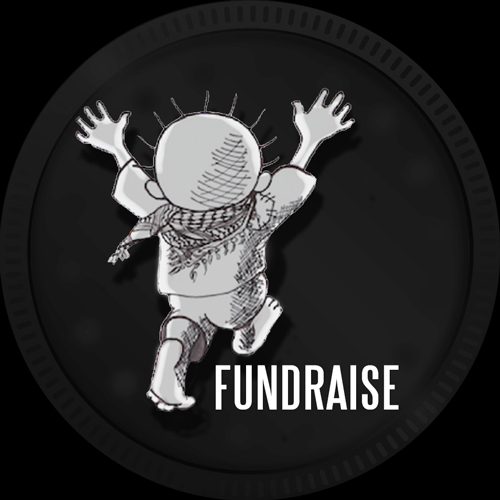 It seems that people have not forgotten what happened to the people in Gaza only a few months ago and want to support our efforts beyond the run to raise awareness of the intolerable situation in Palestine. 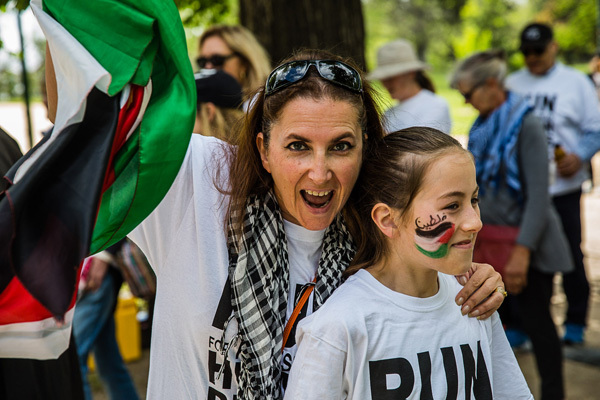 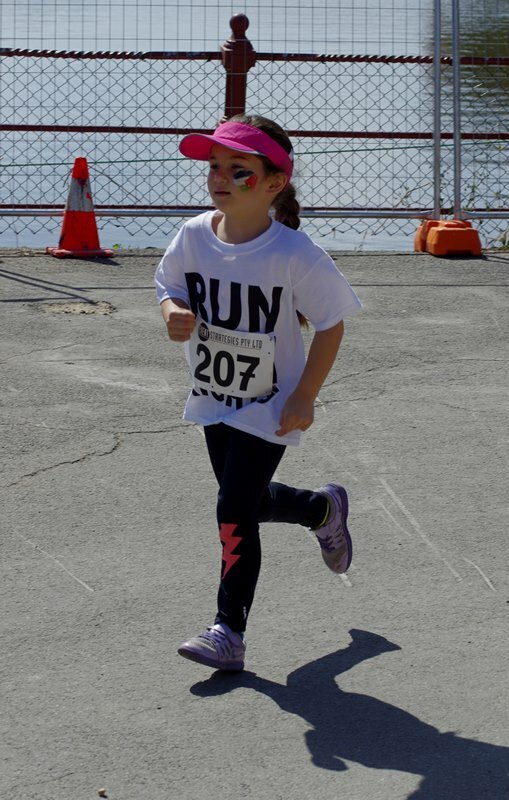 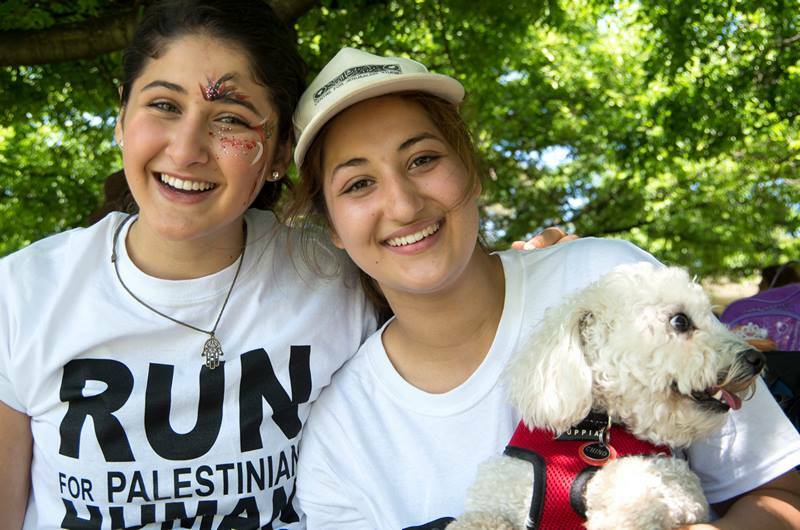 There was no shortage of enthusiasts for the face-painting event before the run and young and old were soon sporting the Palestinian colours on their faces. 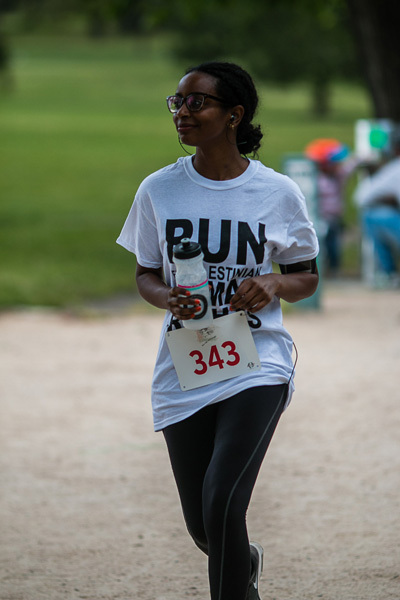 It really set the mood for the run. 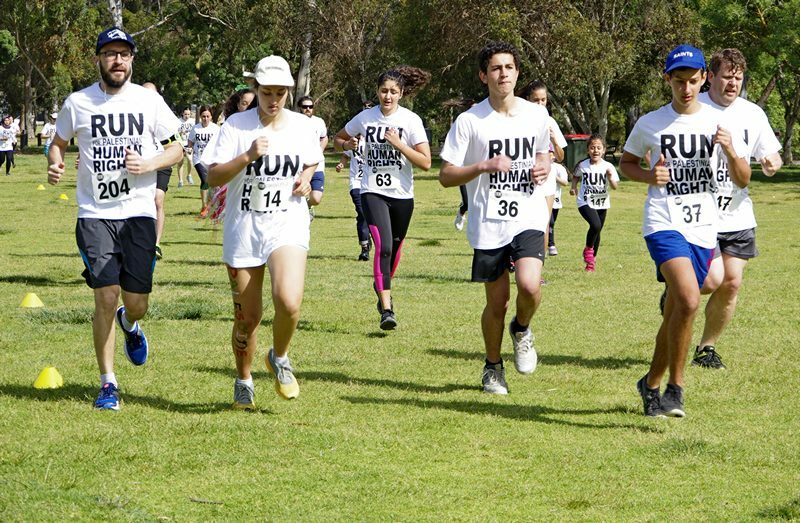 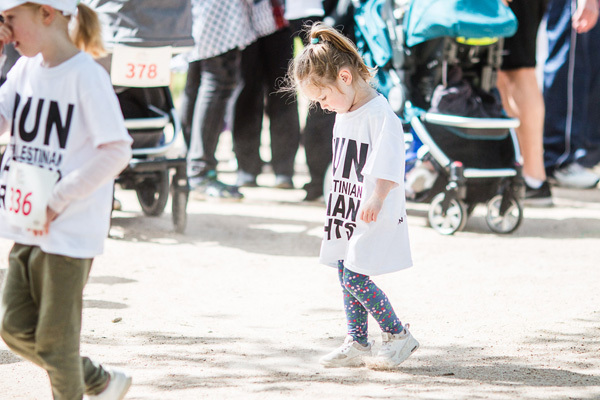 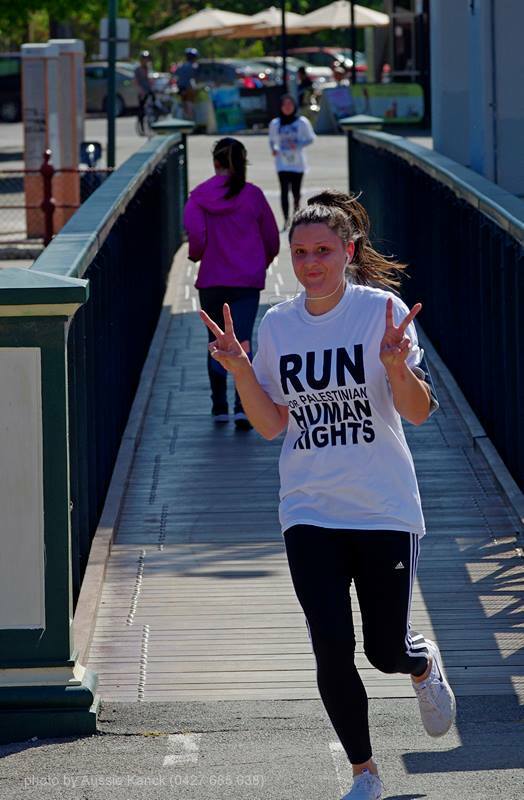 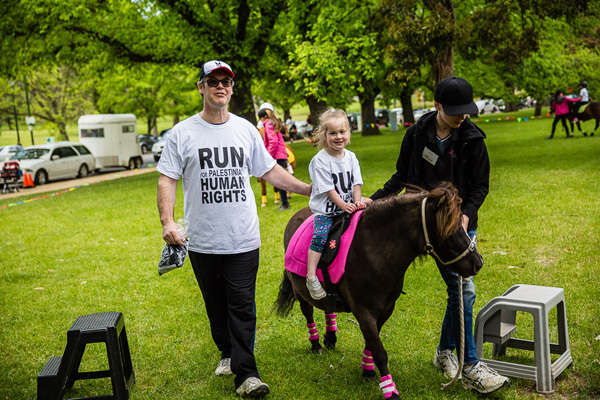 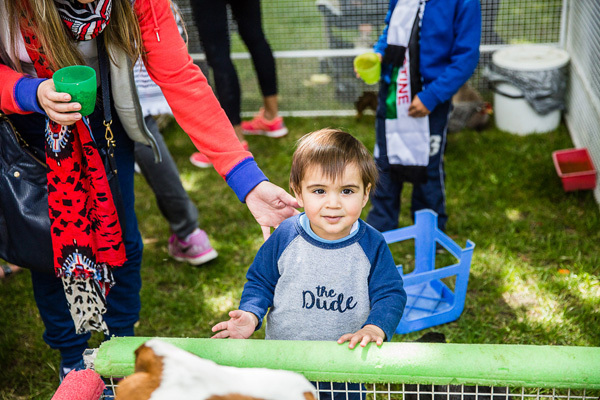 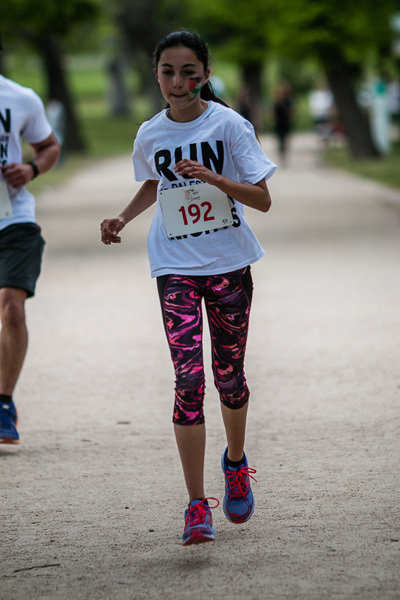 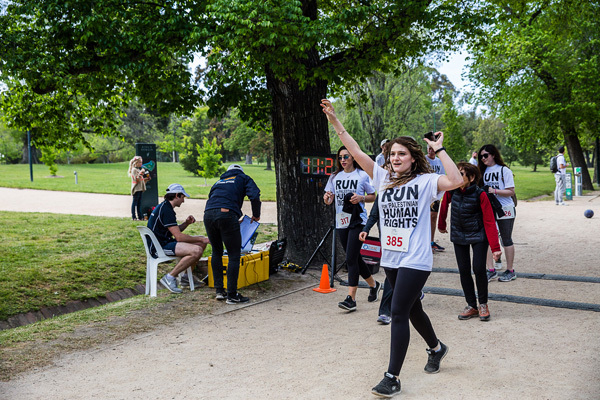 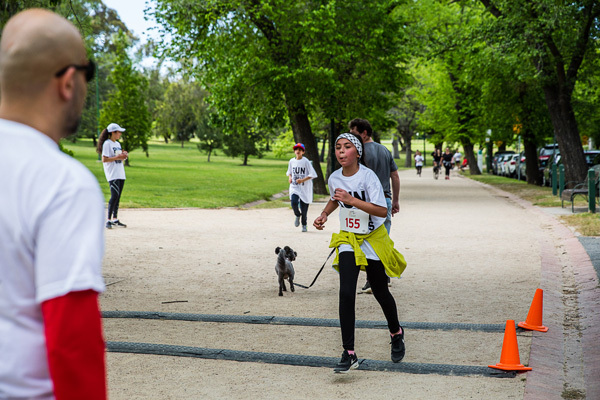 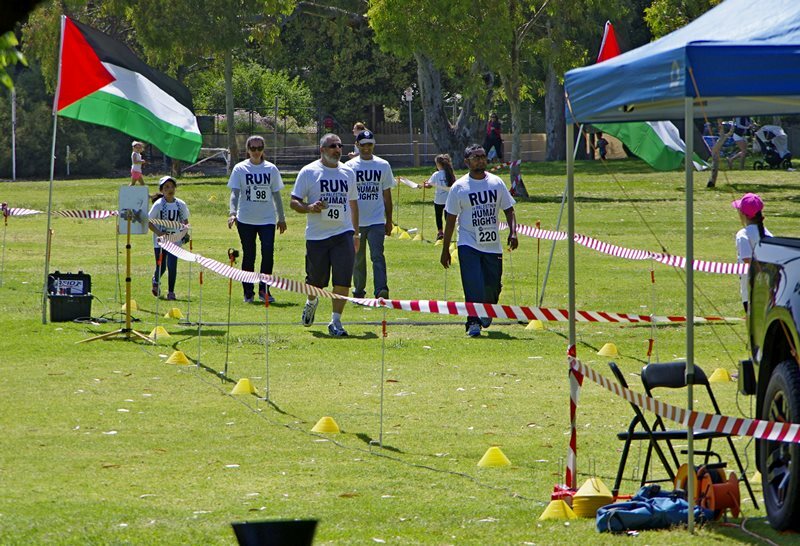 T-shirts were eagerly donned by contestants and onlookers alike and even latecomers were determined to walk or run the lap without competing. 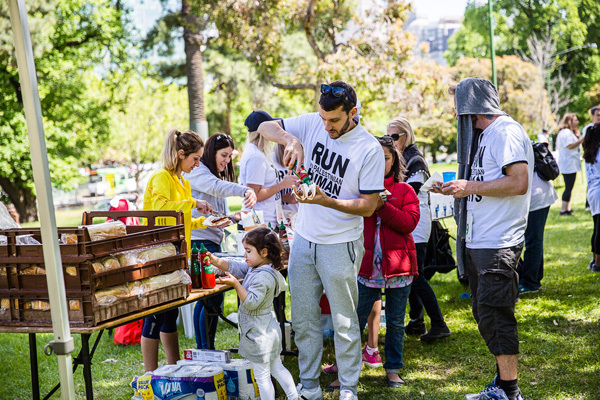 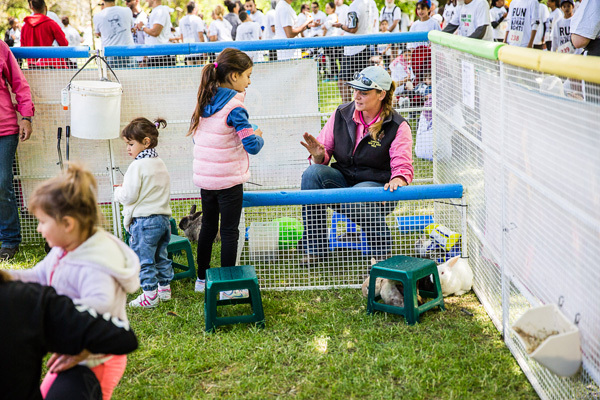 Of course, an event like this is impossible without an army of volunteers. 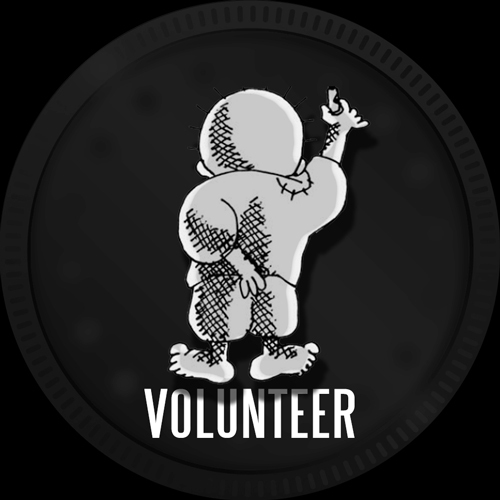 Our familiar and loyal “old faithfuls” are always reassuring to have with us and we also thank our new helpers who came with ideas and plenty of enthusiasm. 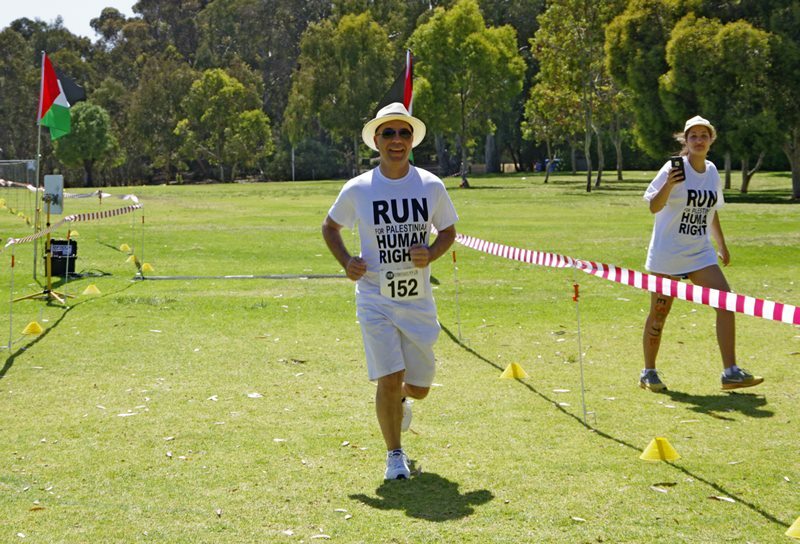 It all augurs well for next year’s event and beyond. 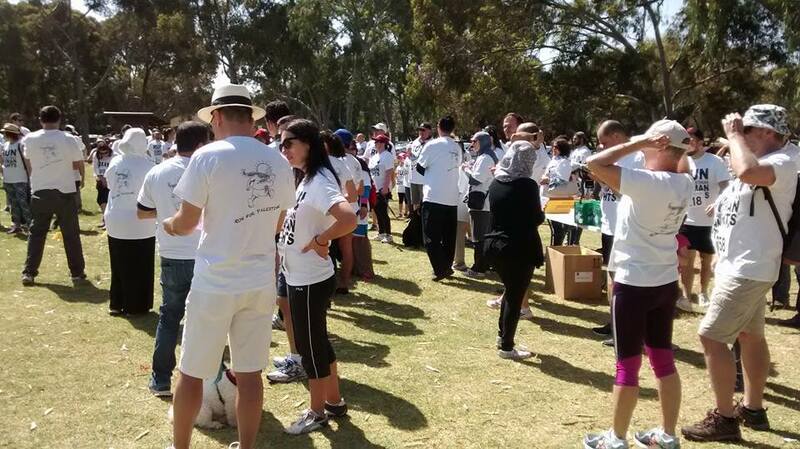 We are very grateful for everyone’s help and hope you too had moments to enjoy the offerings of fun and community. 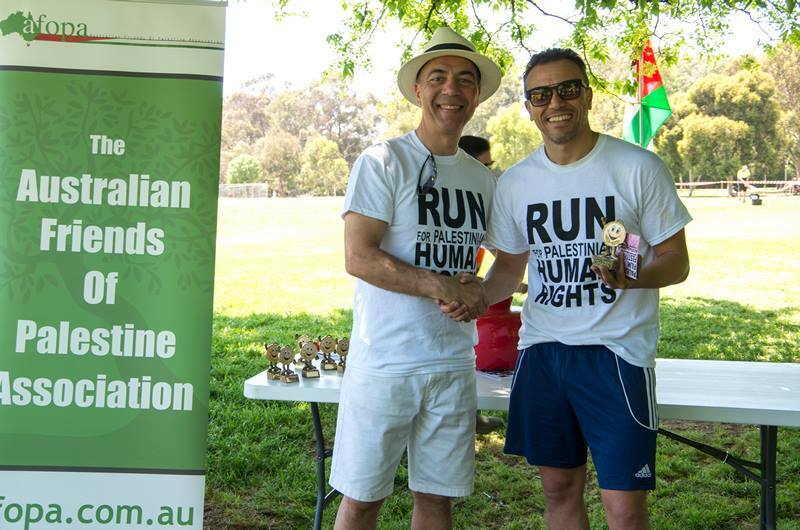 This was certainly a day to finish with a sausage sizzle on the banks of the Yarra under the shade of the trees and listening to the beautiful voice of Aseel Tayah singing Palestinian songs.The poignant strains of music from a far away land was a fitting way to remind people of just why we care for the rights of Palestinians: simply, they are human. 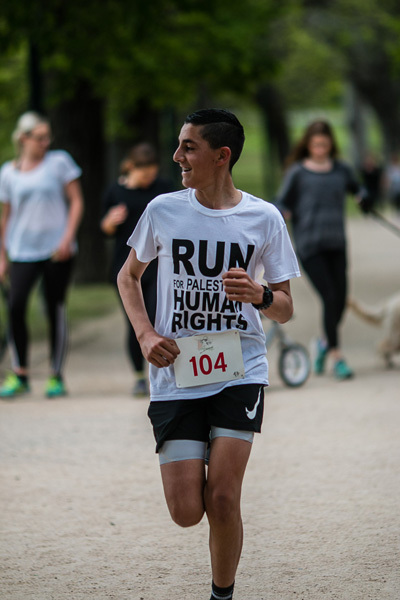 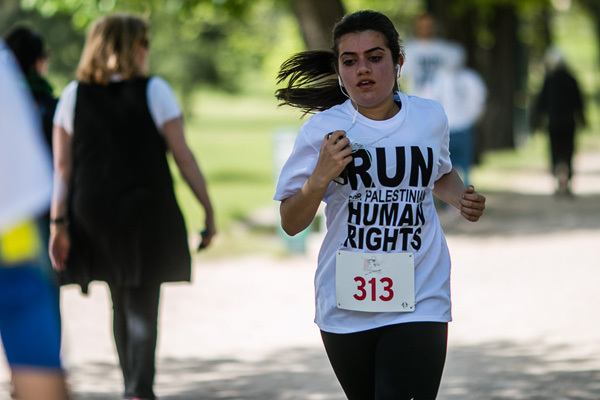 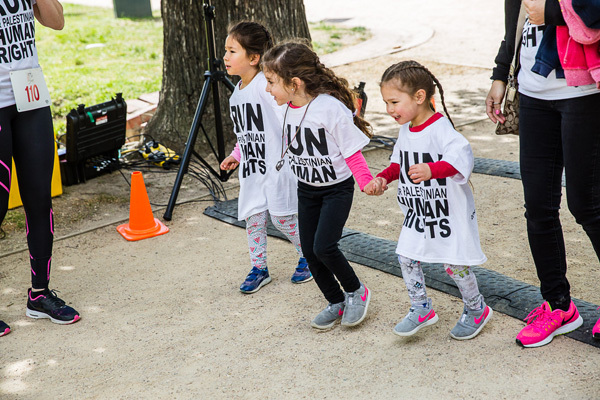 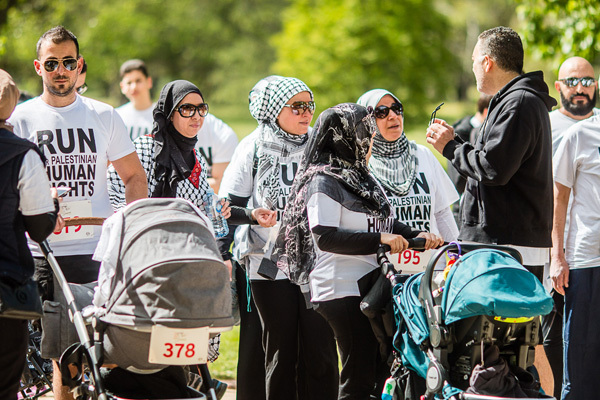 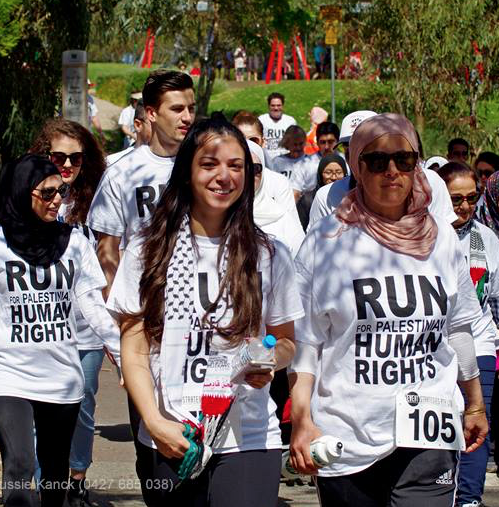 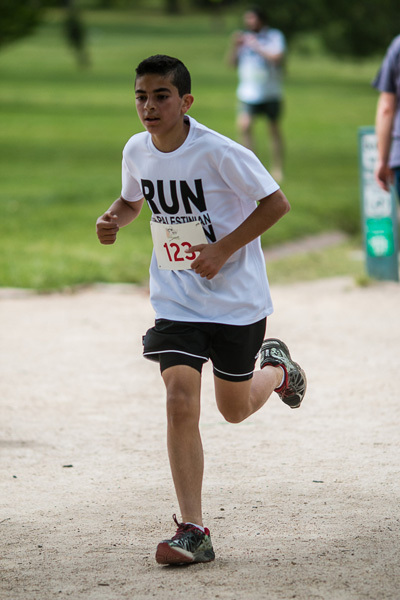 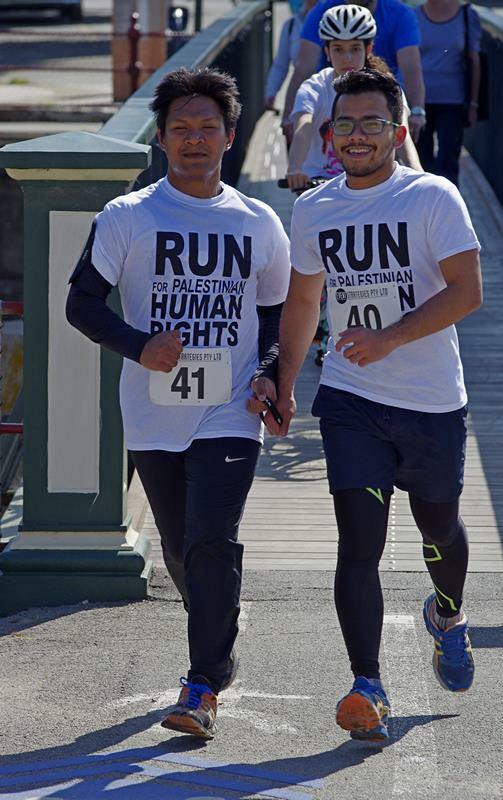 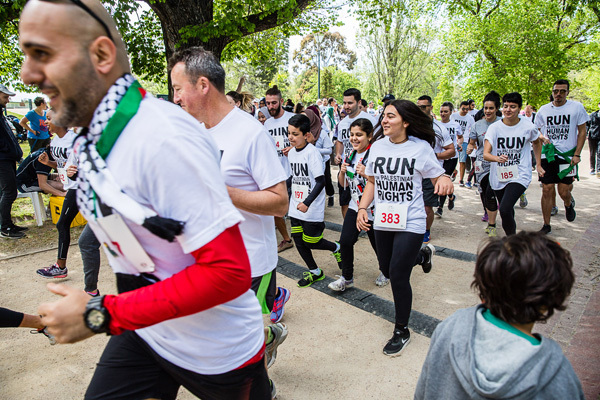 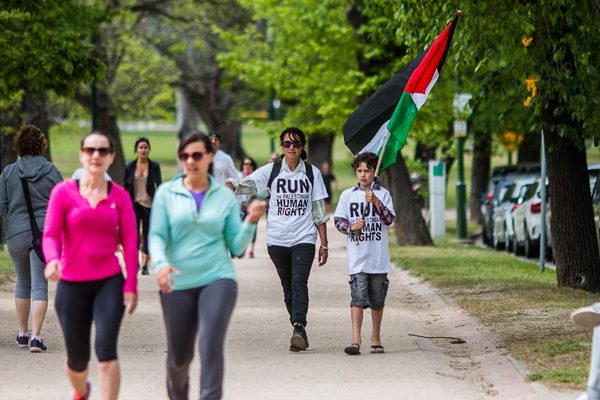 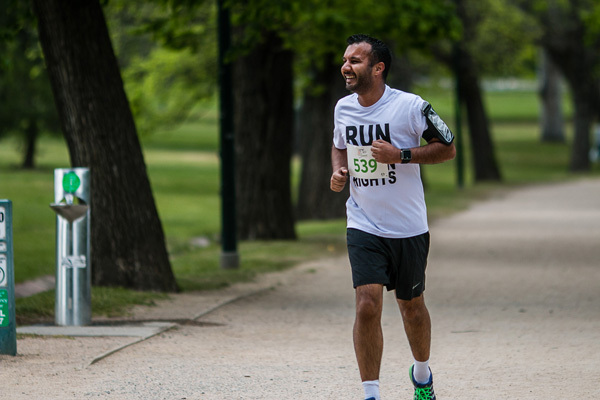 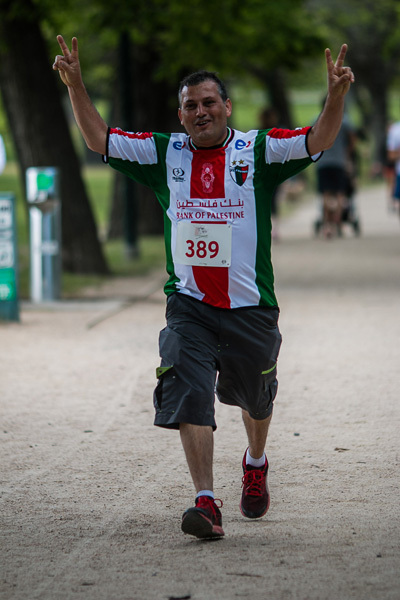 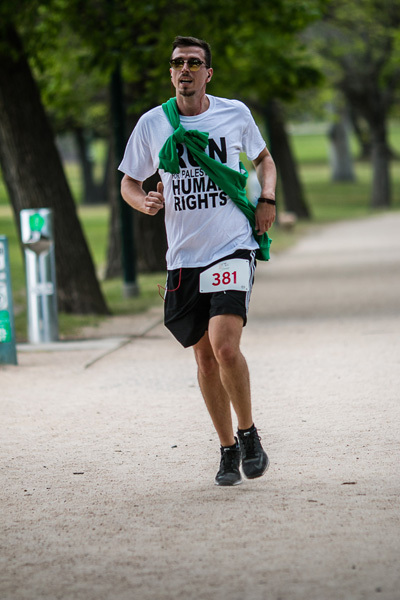 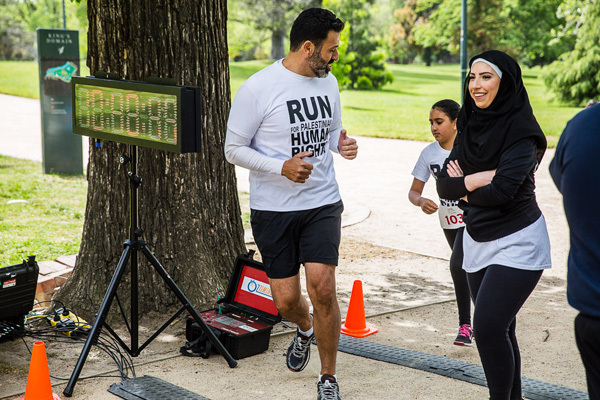 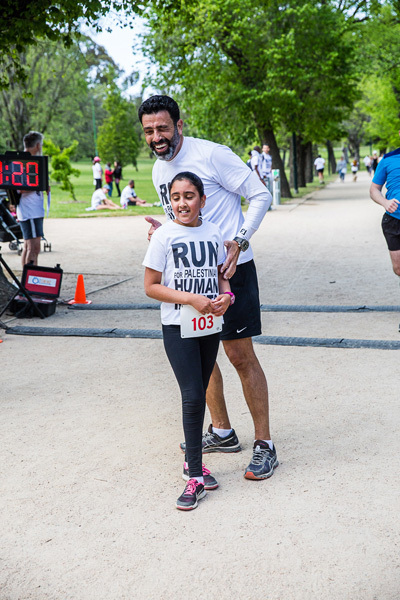 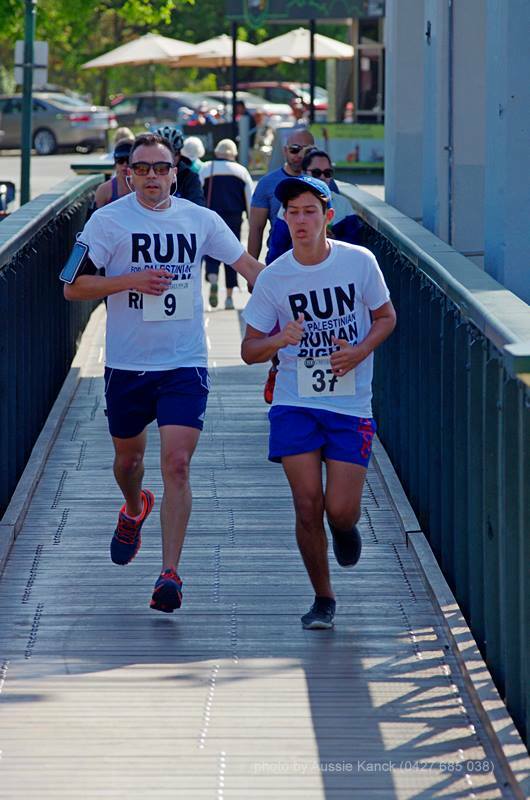 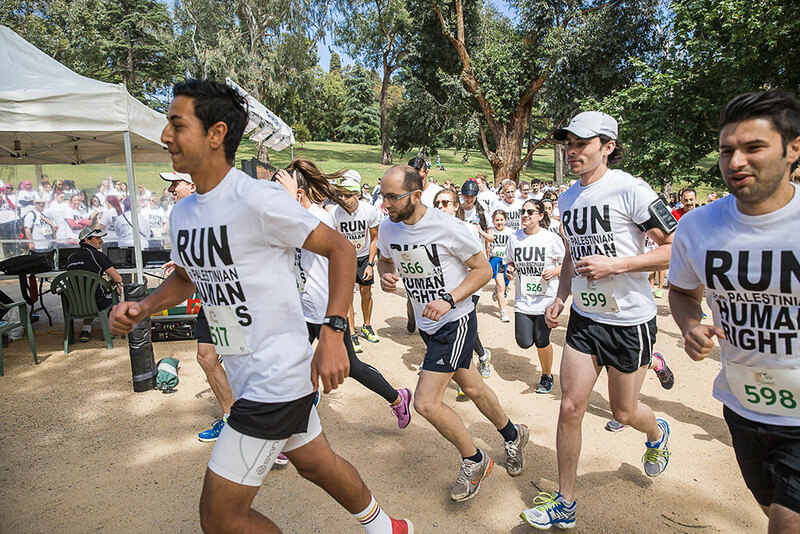 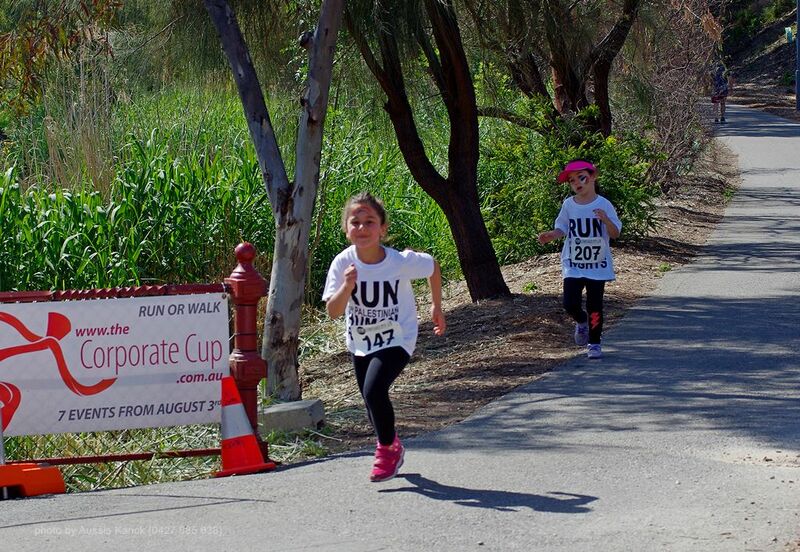 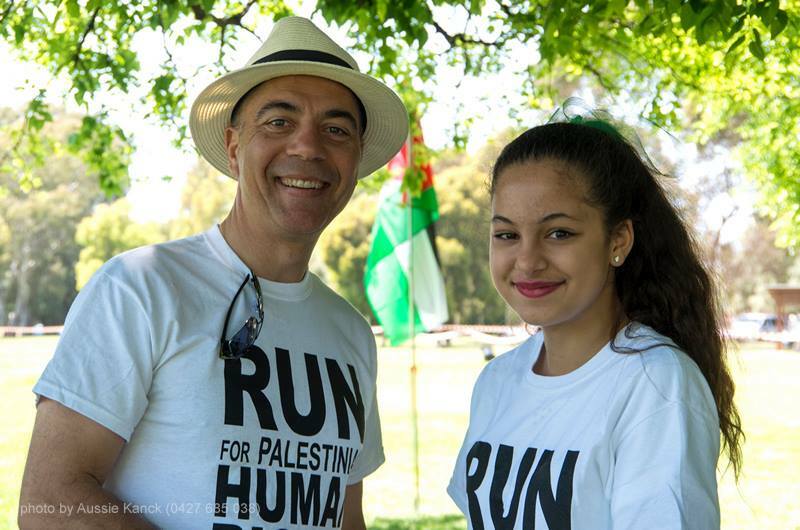 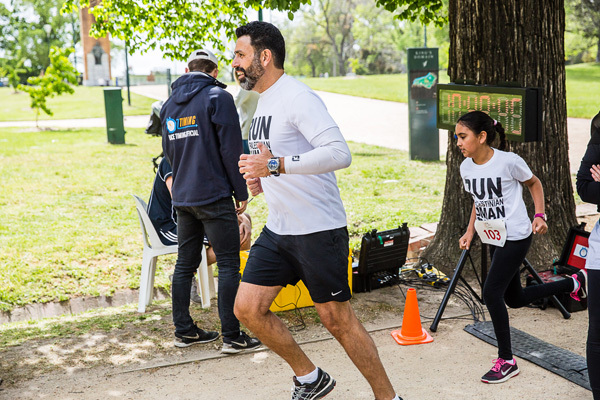 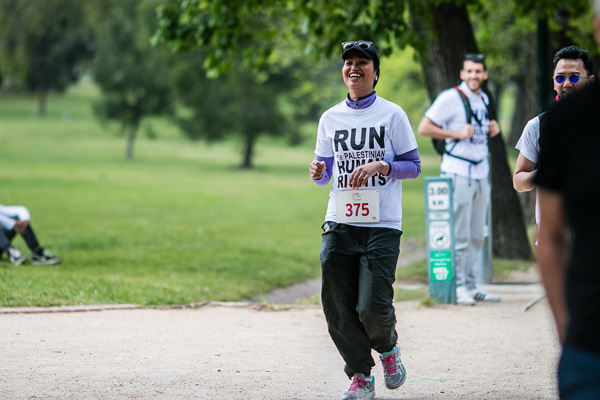 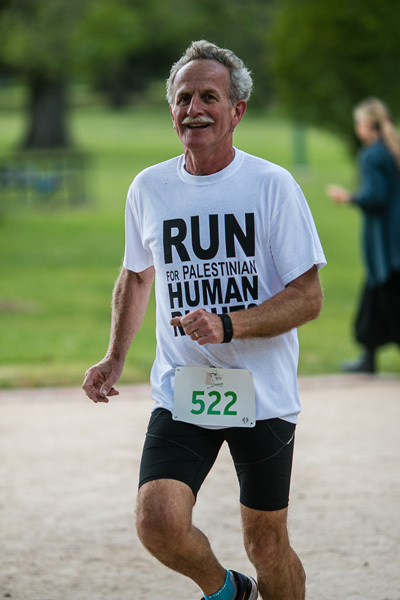 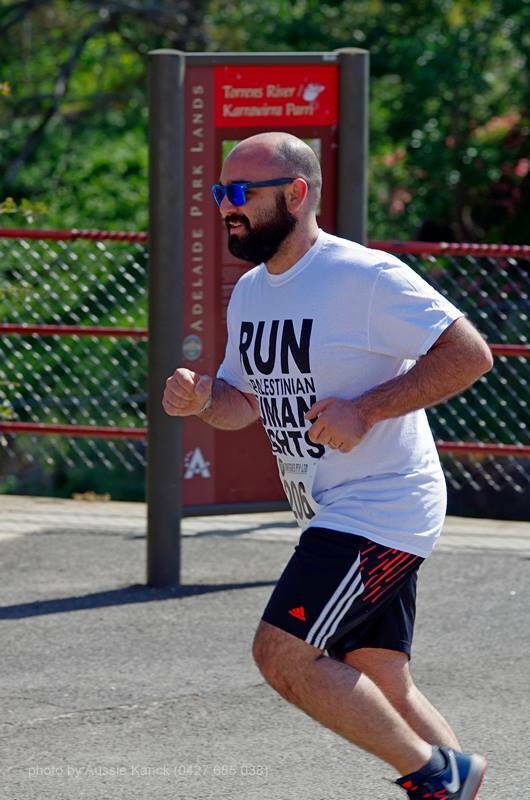 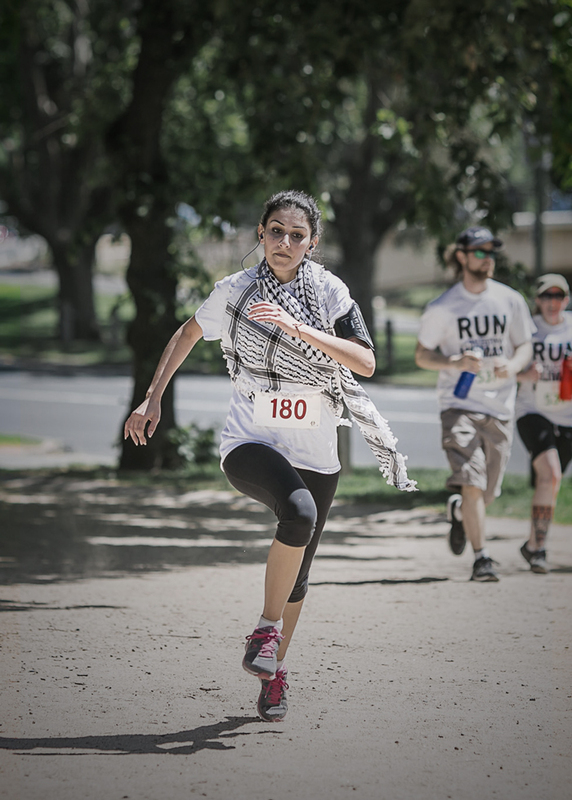 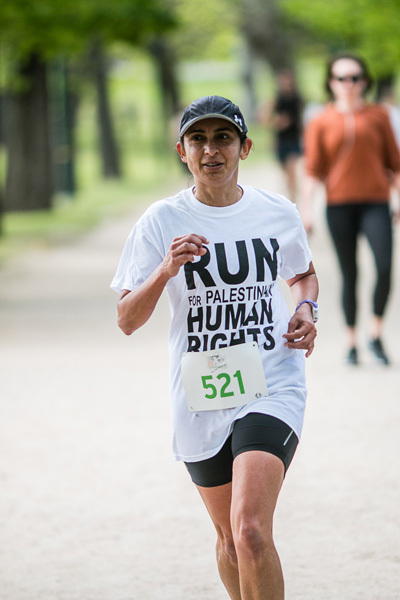 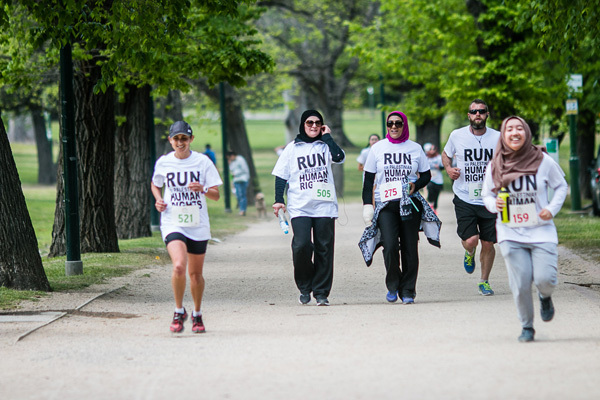 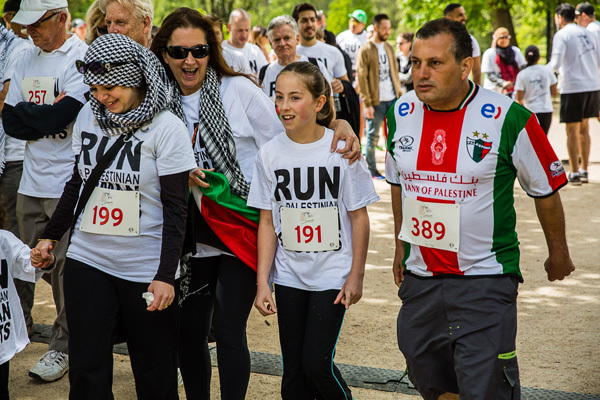 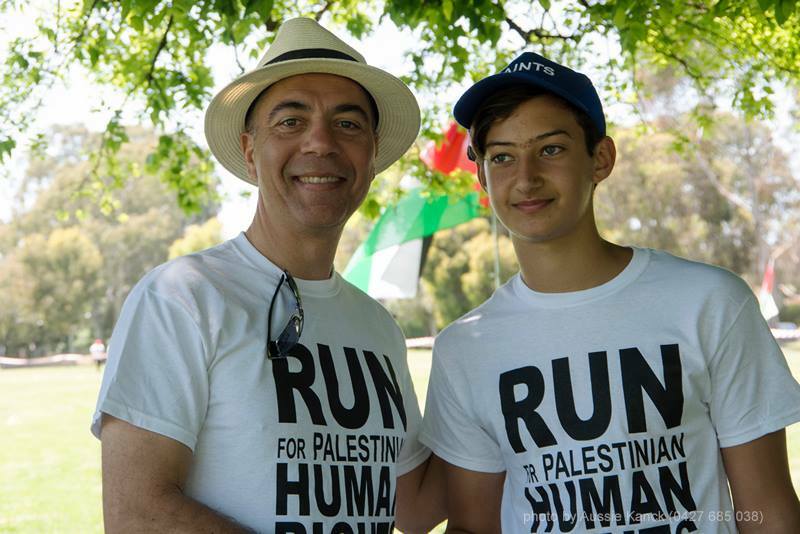 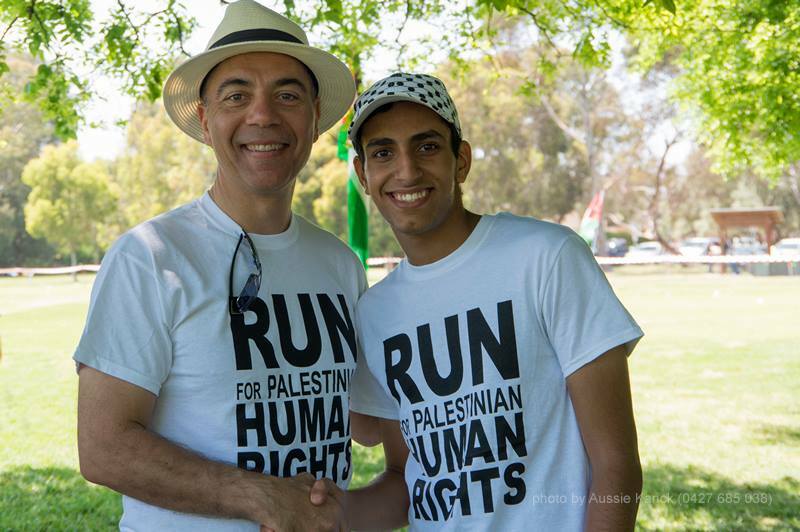 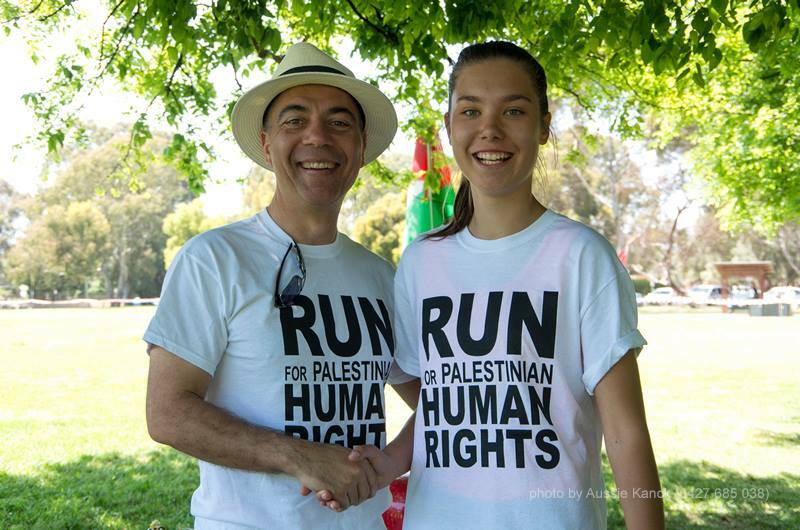 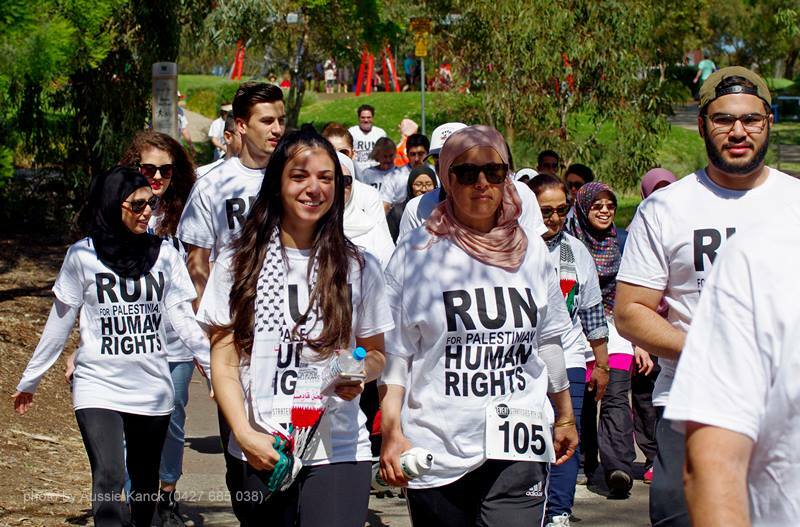 From beginning to end, this Run for Palestine was memorable in every way.